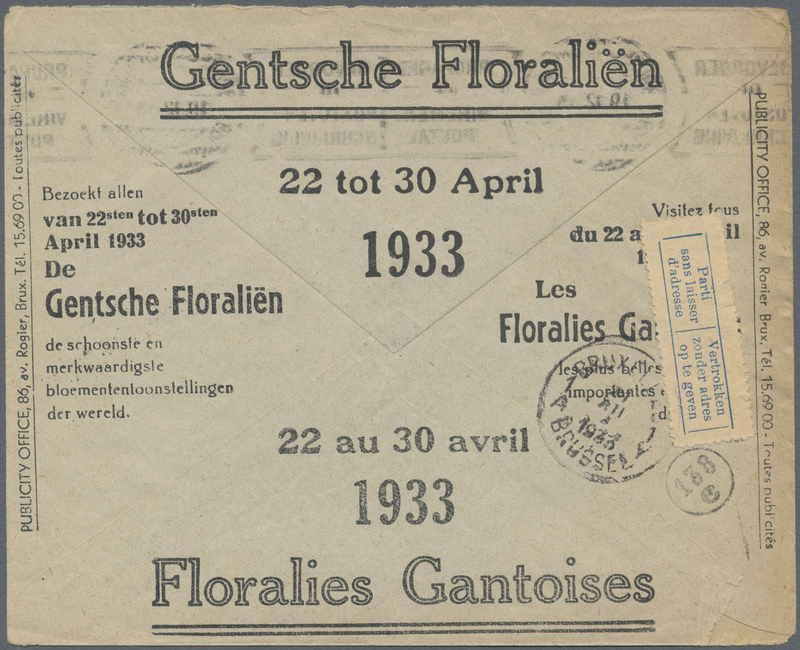 32679 1940/2005 (ca. 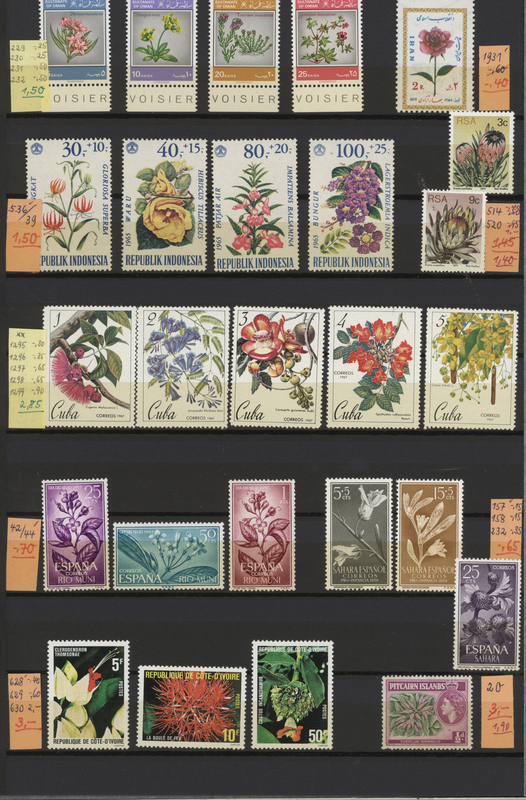 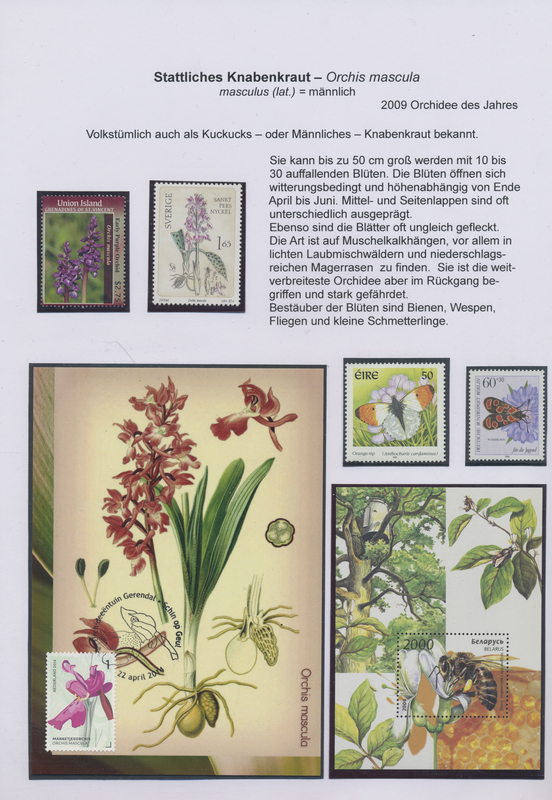 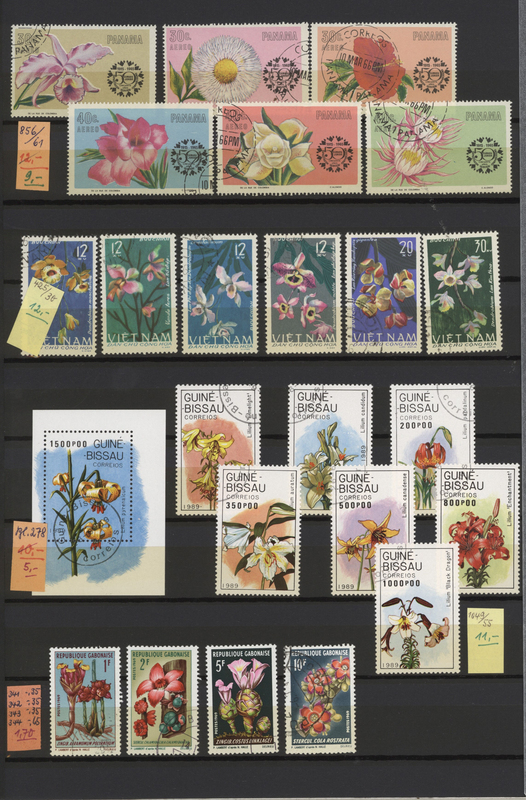 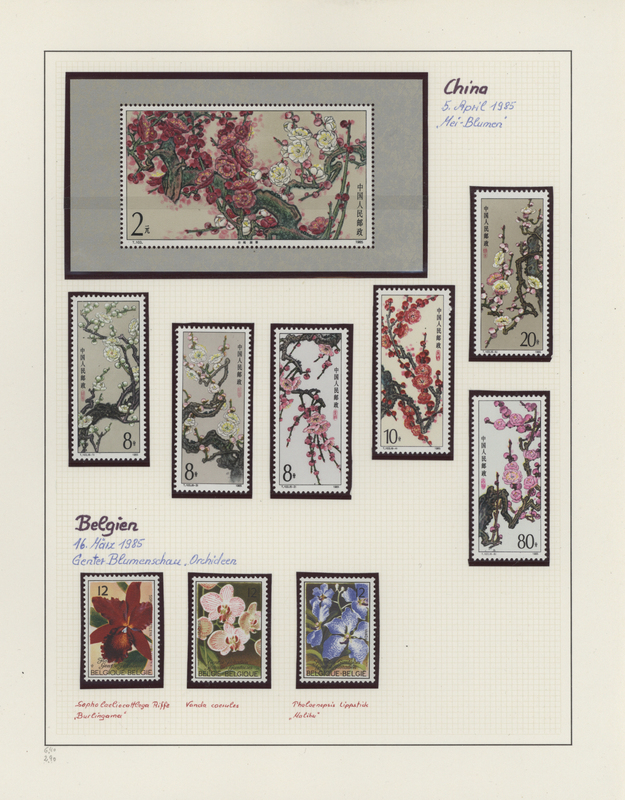 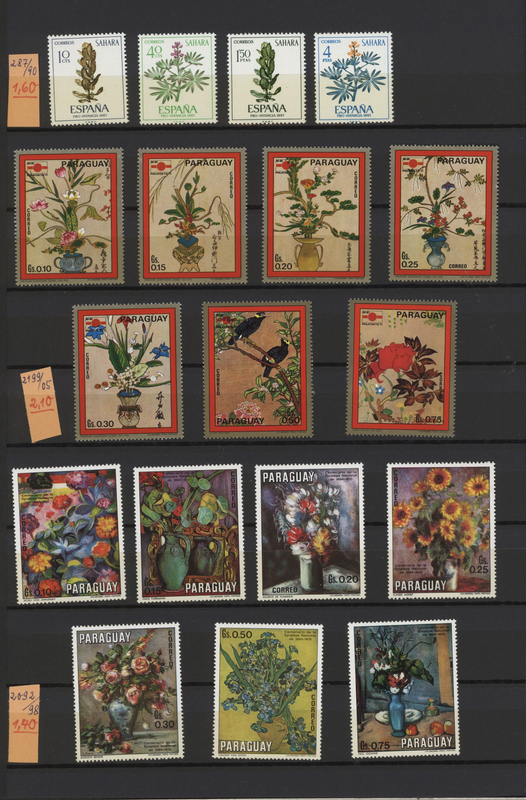 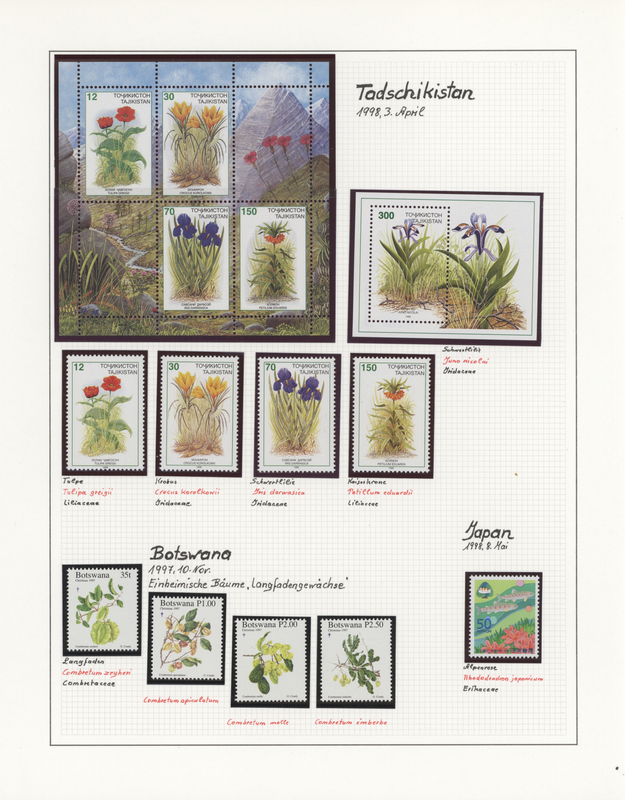 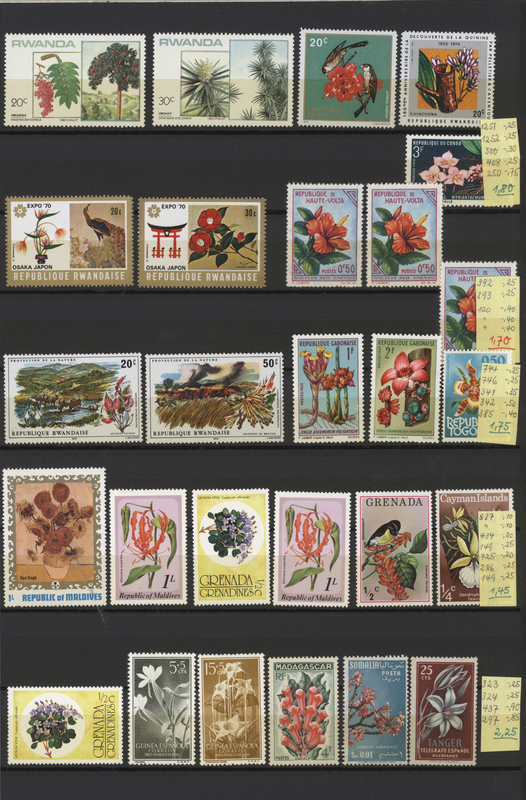 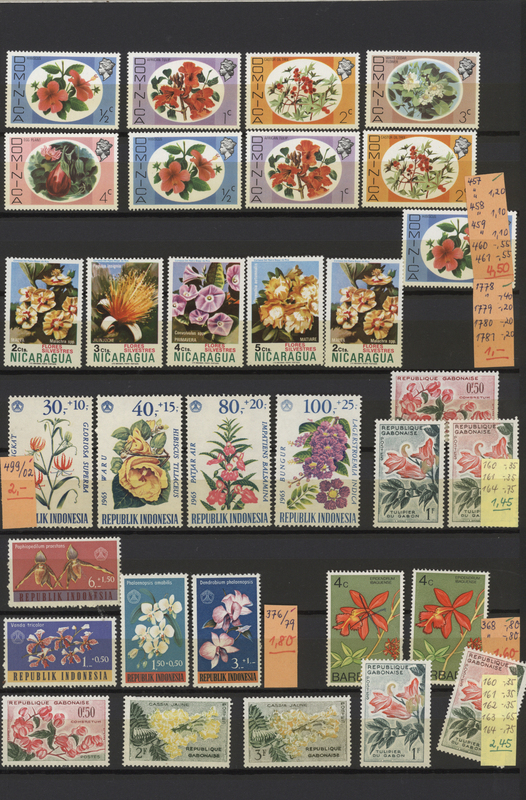 ), FLORA, BOTANY, BLOOM, extensive thematic selection in 9 big ring binders, with stamps from all over the world, with many complete sets, furthermore hundreds of souvenir-sheets, miniature sheets and better issues from old to new, incl. 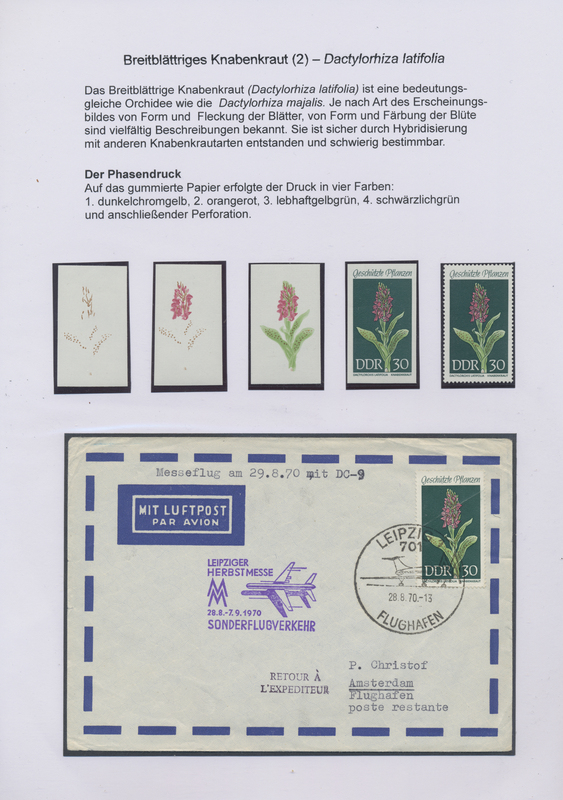 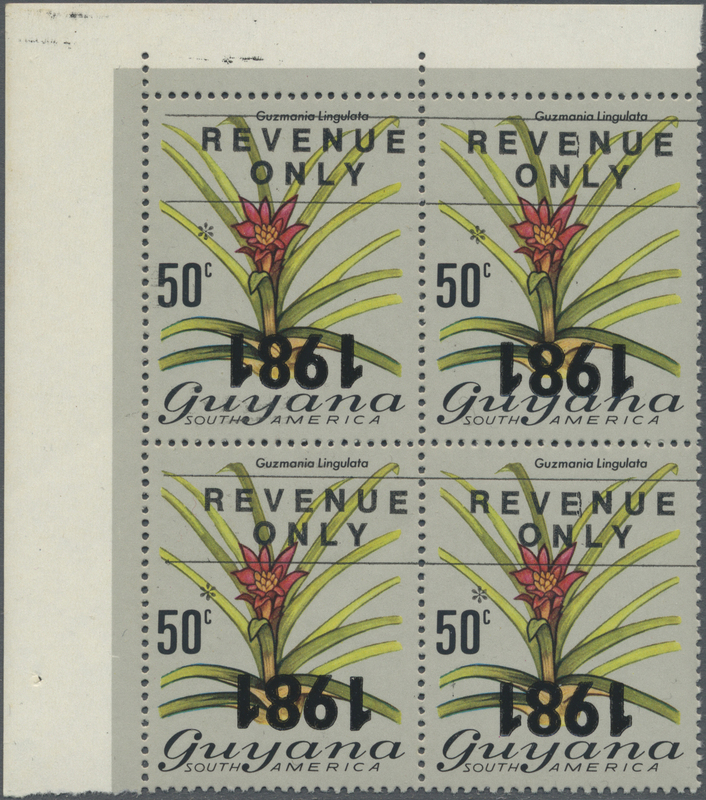 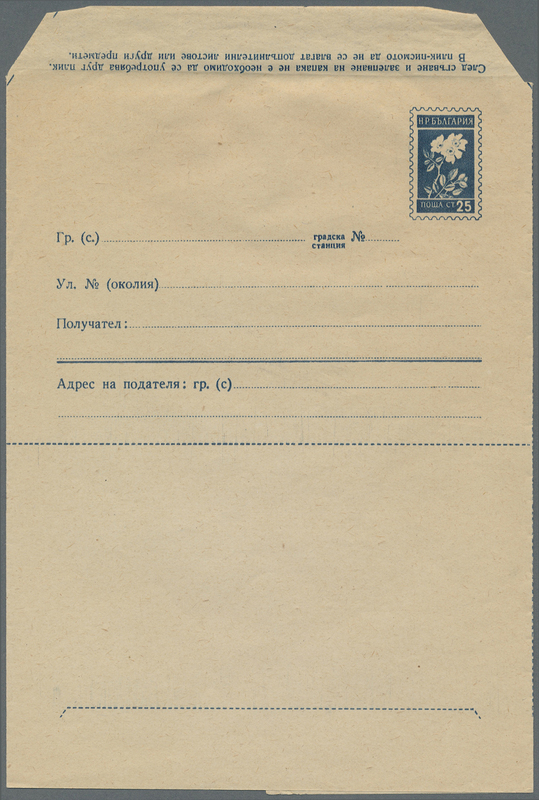 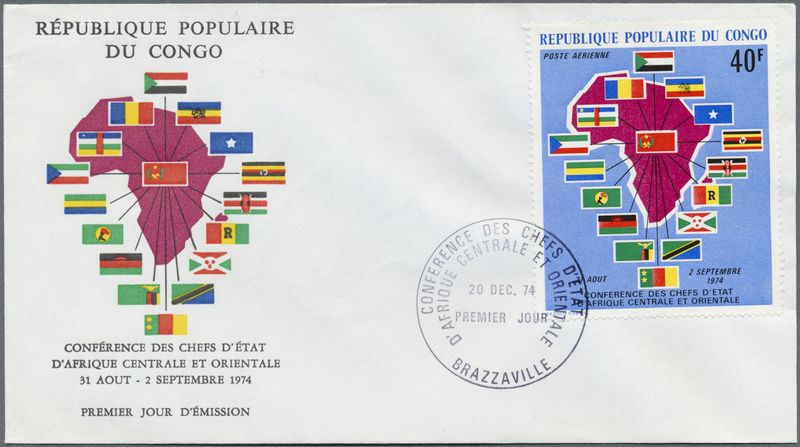 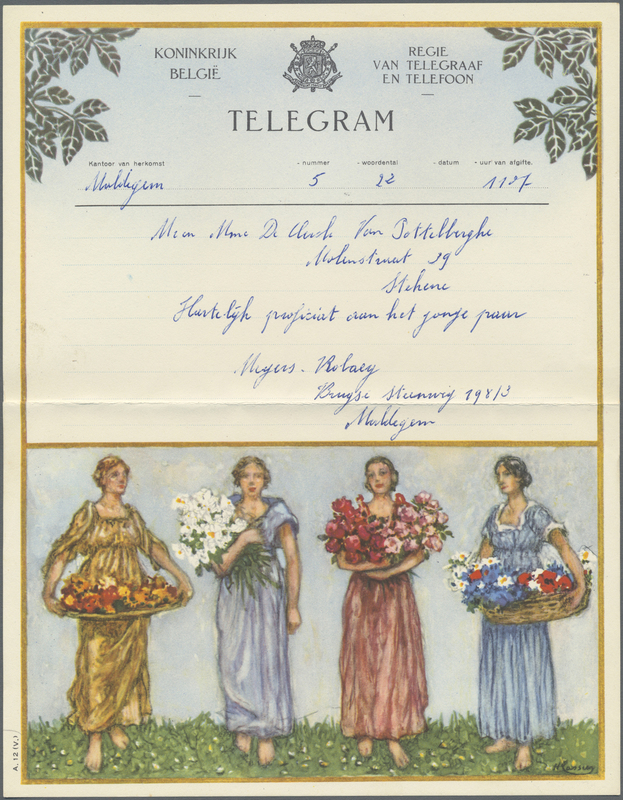 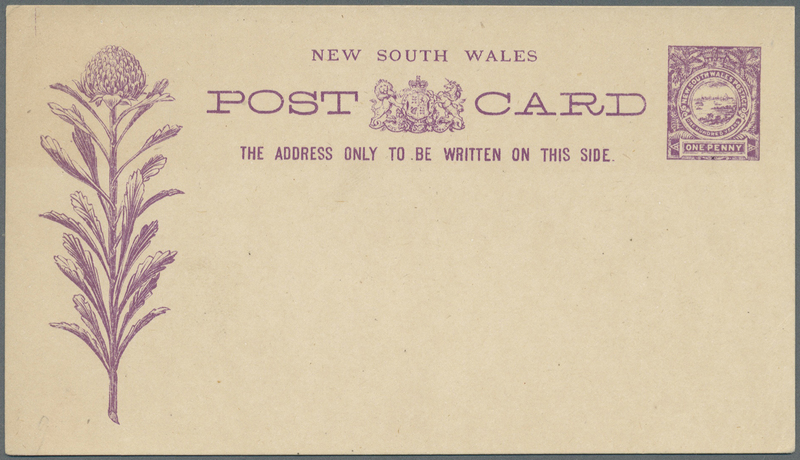 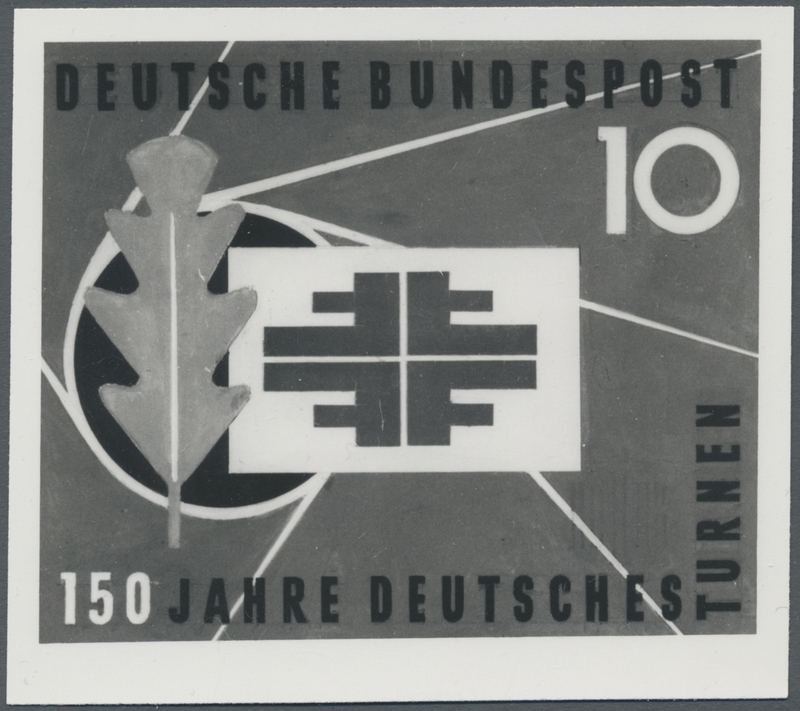 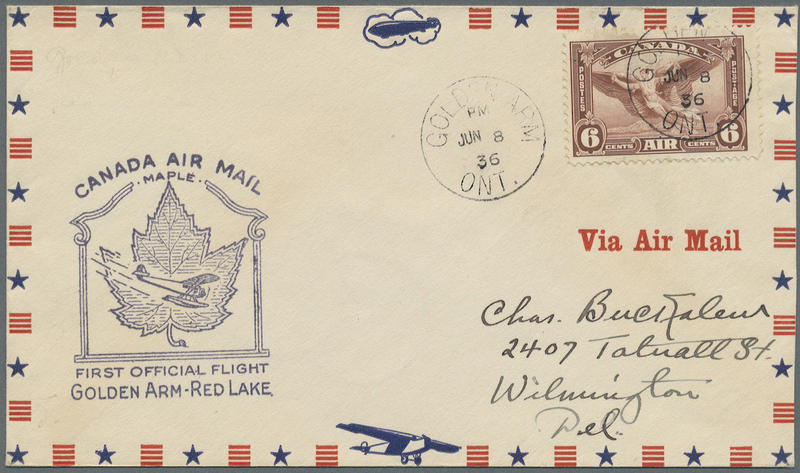 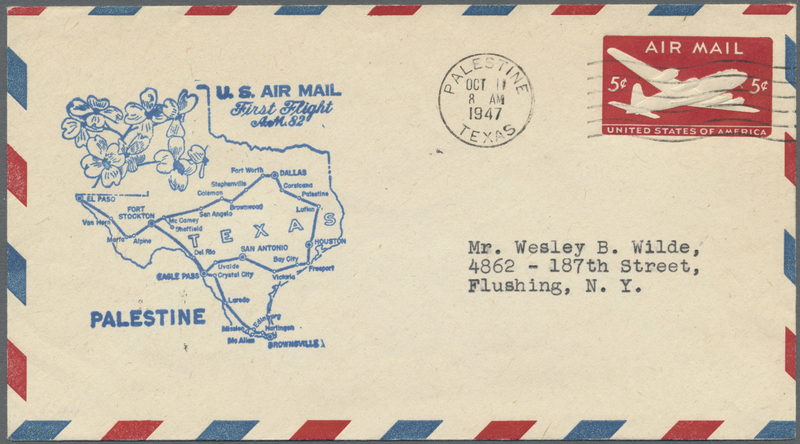 duplicates as well as some letters and FDCs. 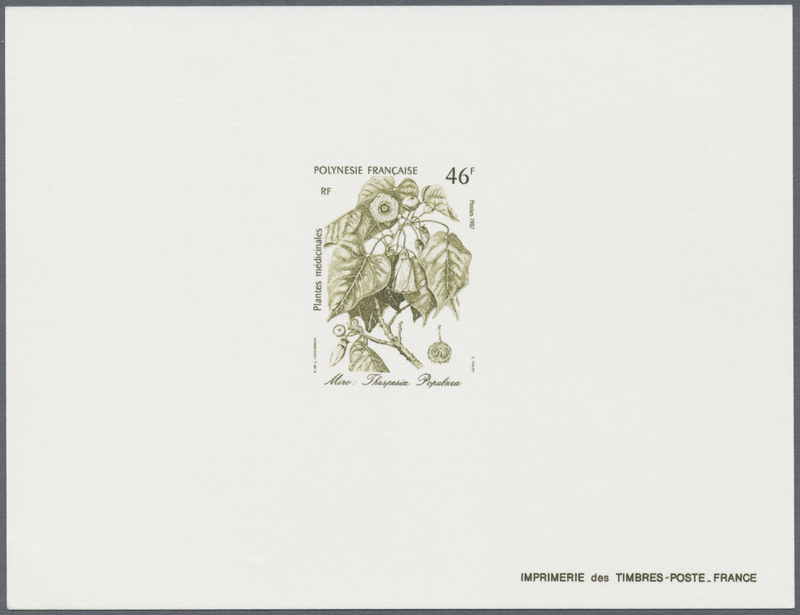 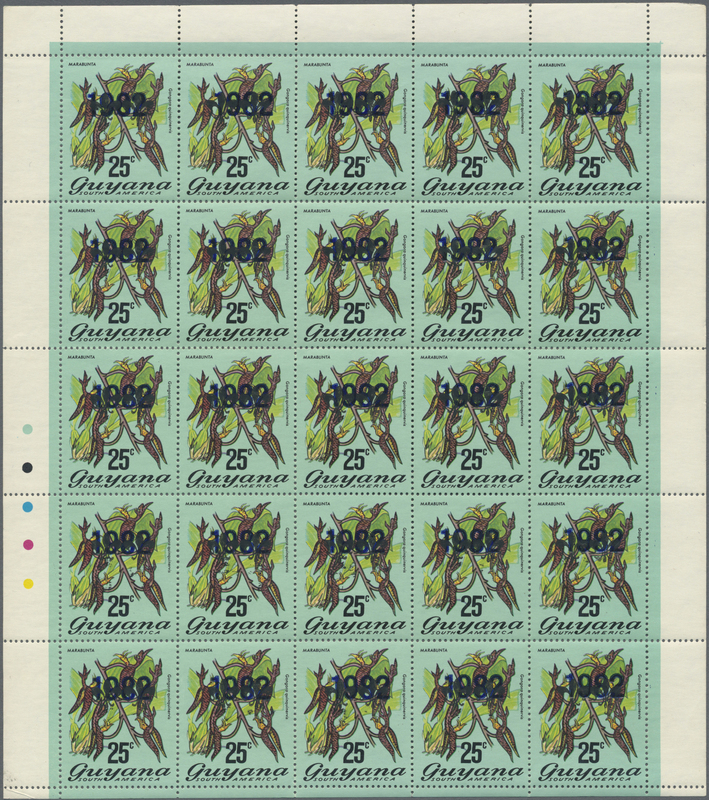 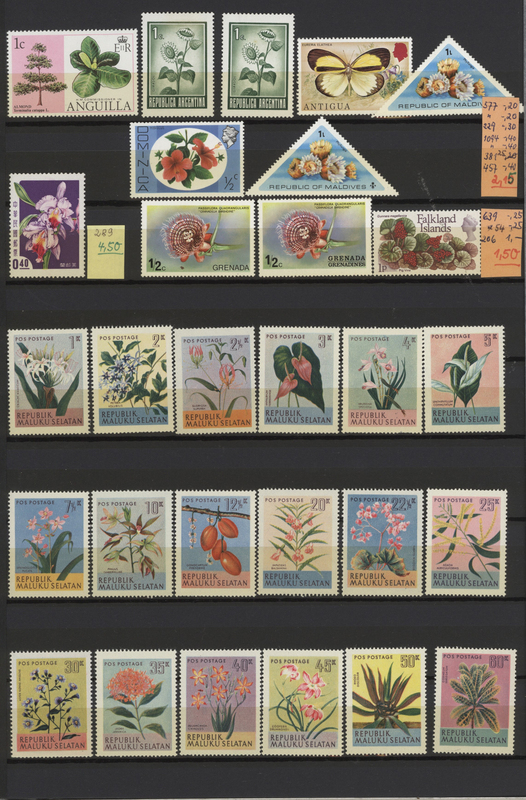 32687 postfrisch (never hinged) ** ungebraucht ohne Gummi (unused without gum) (*) 1961/1996, mainly French area, specialised assortment of 67 imperf. 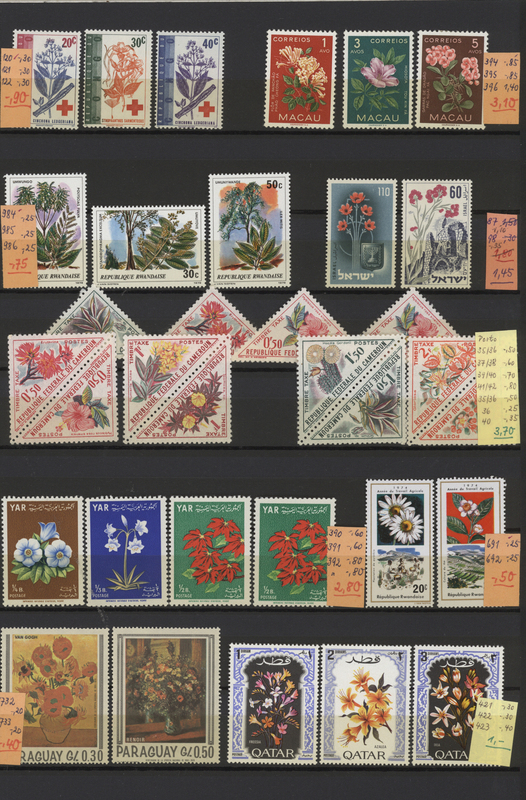 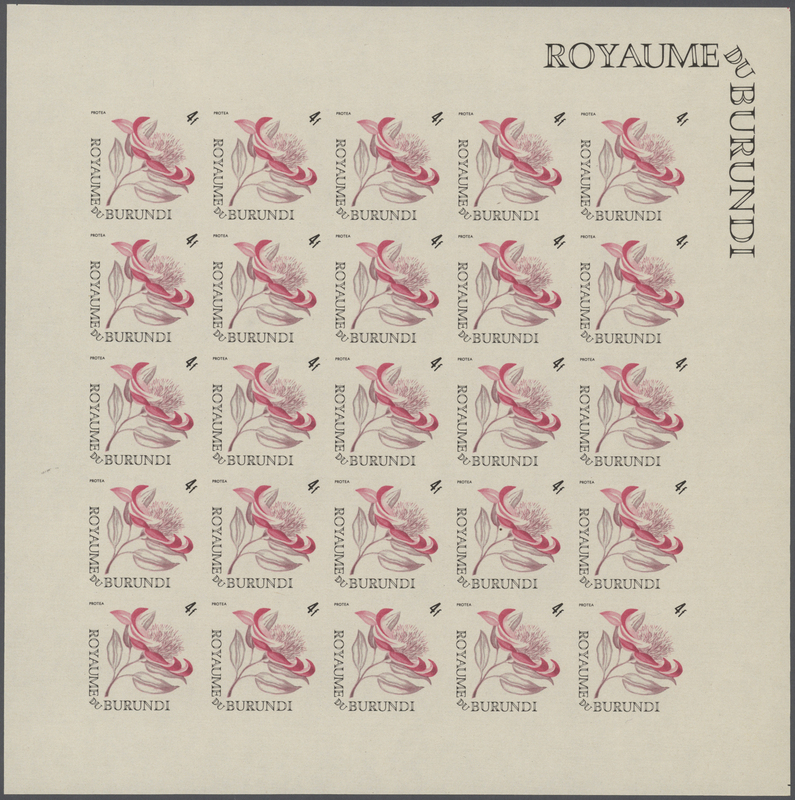 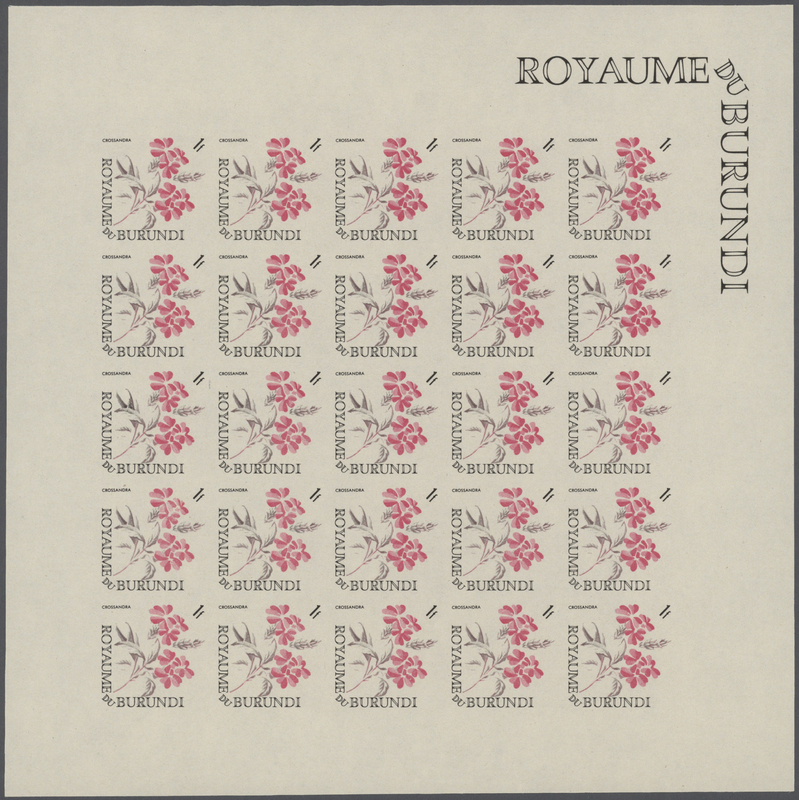 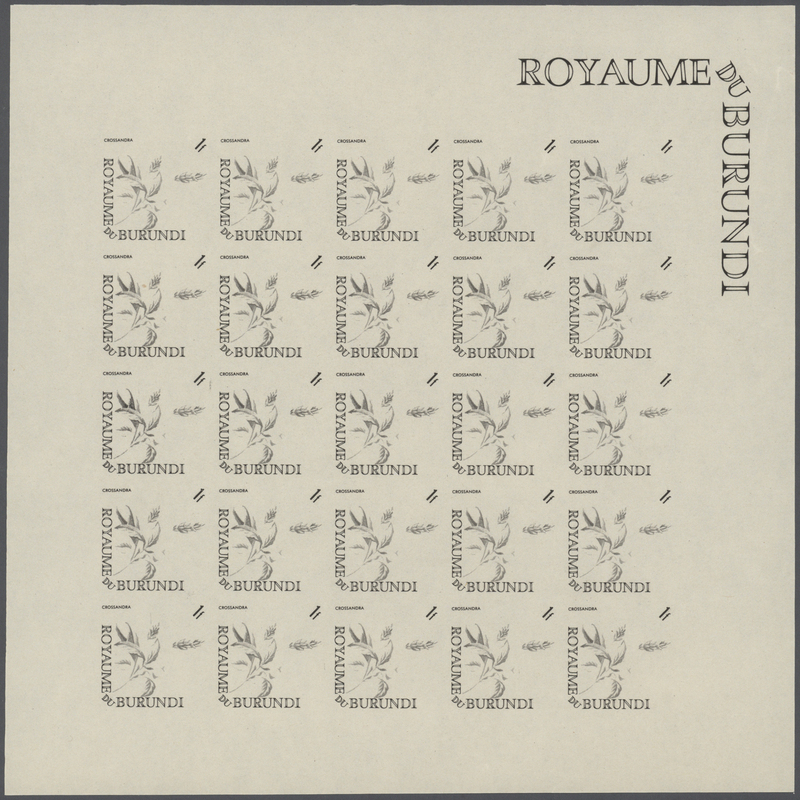 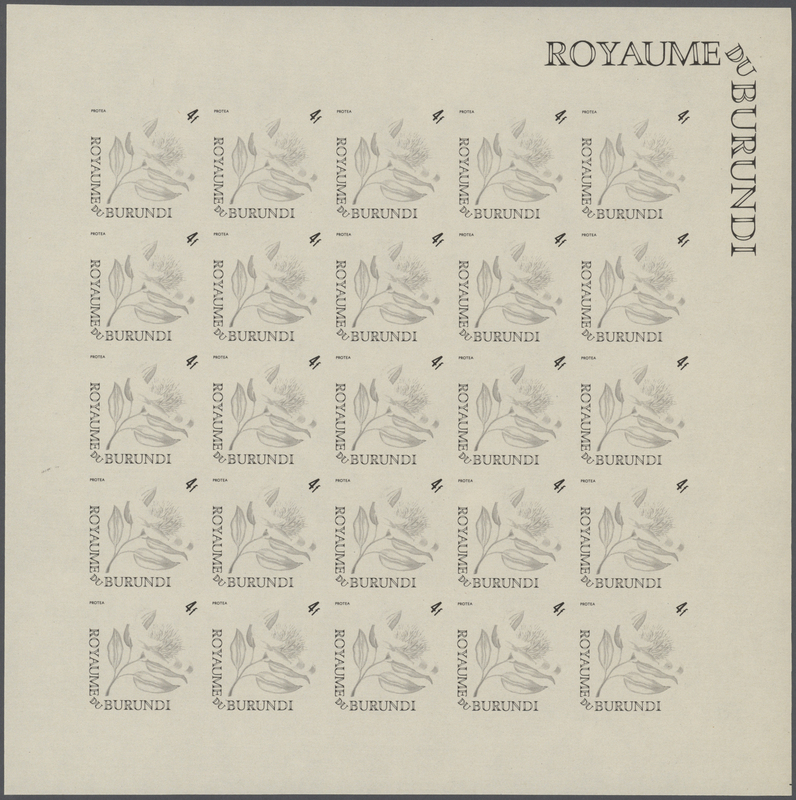 stamps and 21 epreuve incl. 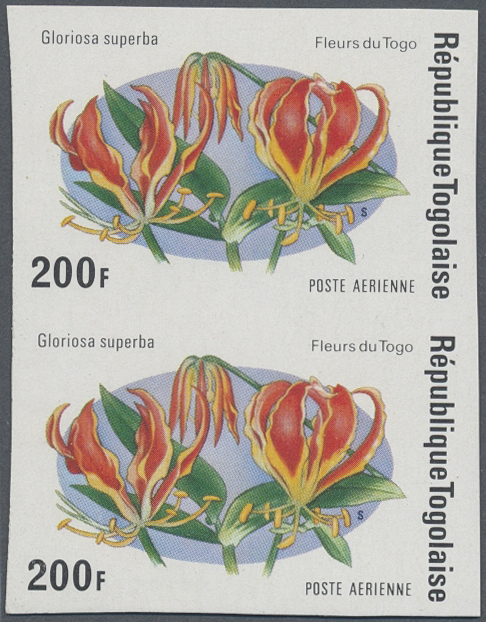 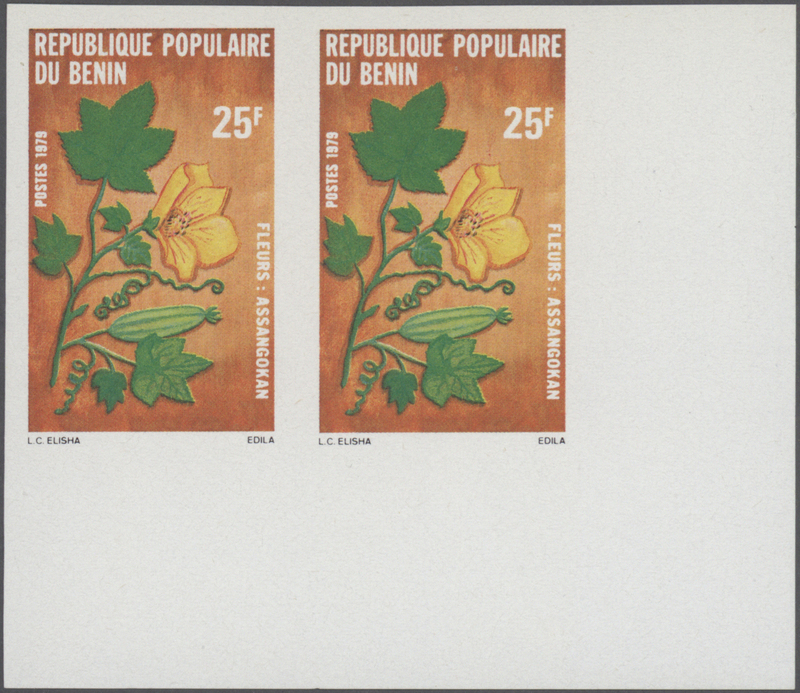 Ivory Coast 1961 Flowers six preuve d'artiste in brown. 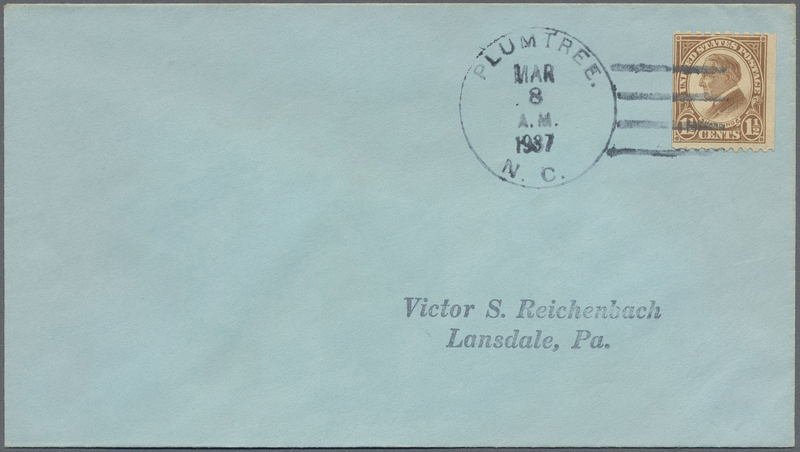 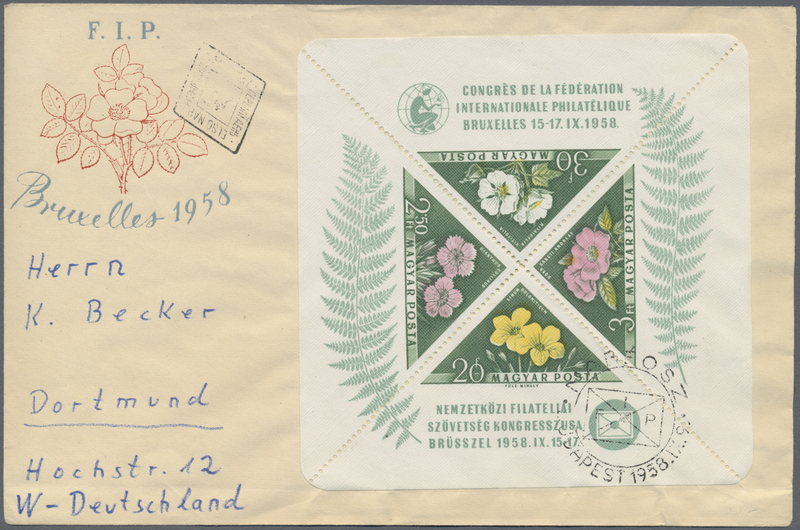 32696 postfrisch (never hinged) ** 192/200 var. 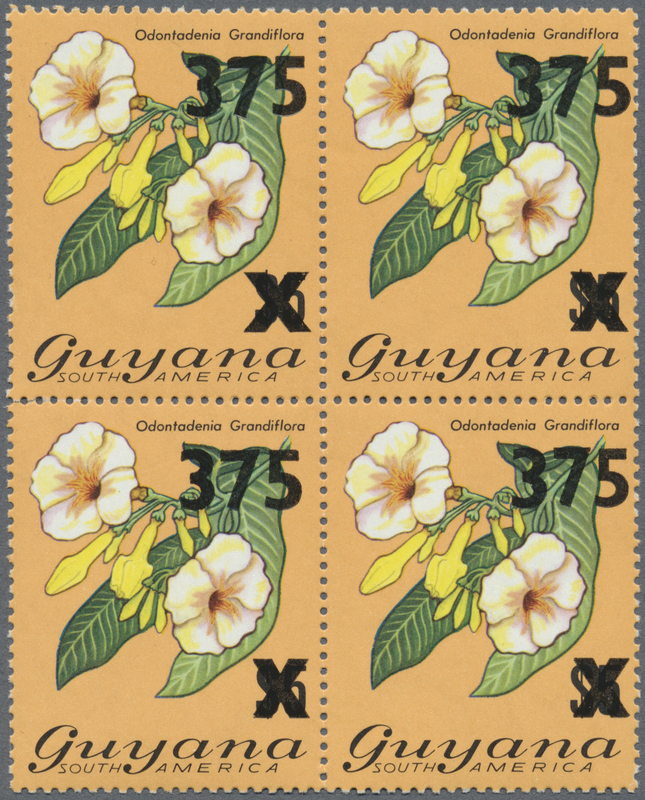 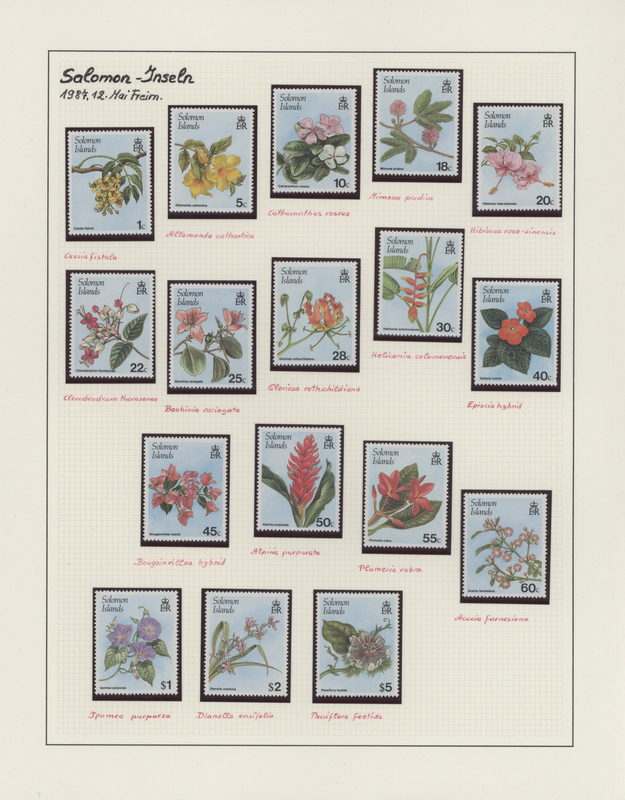 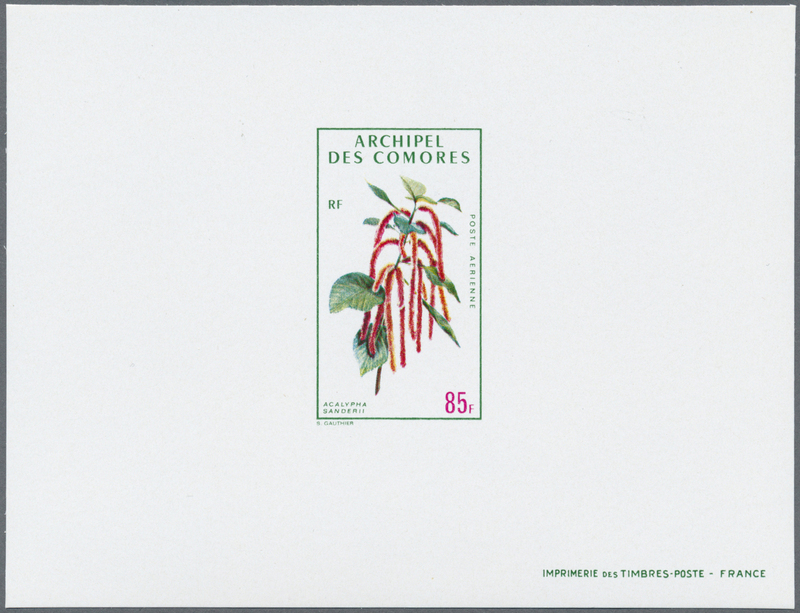 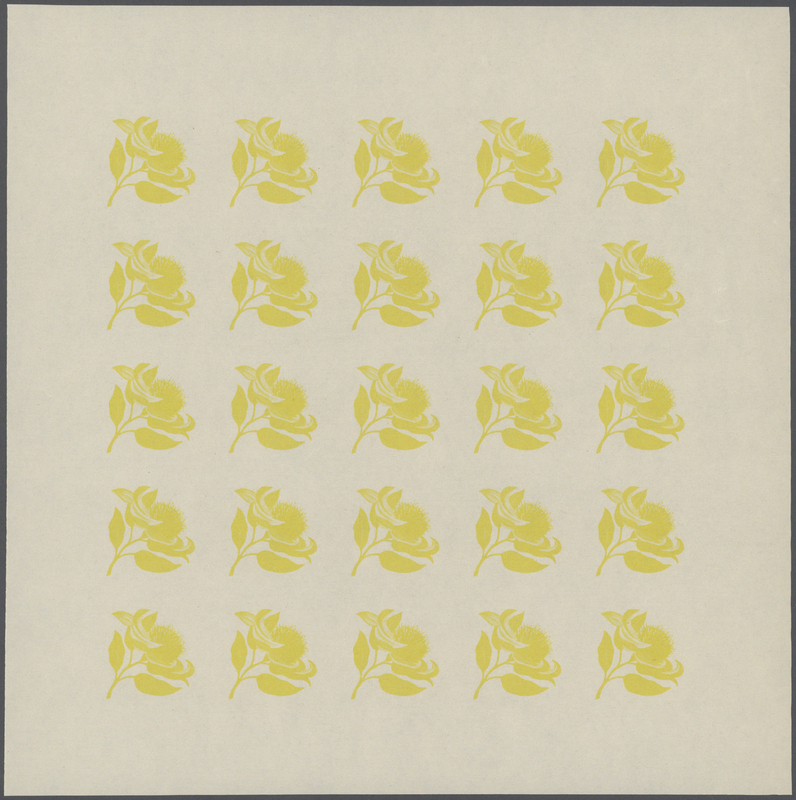 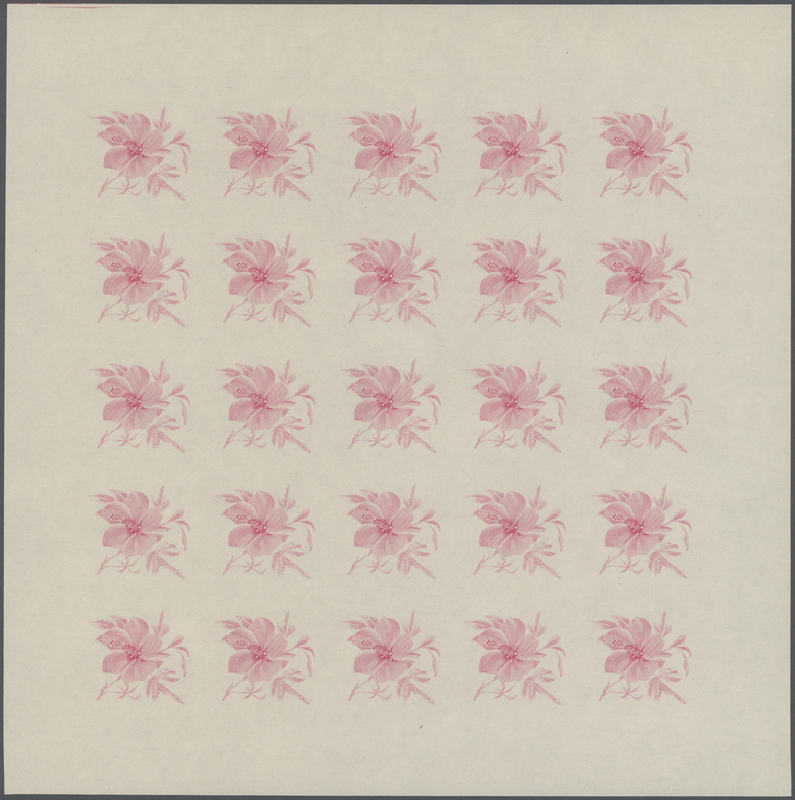 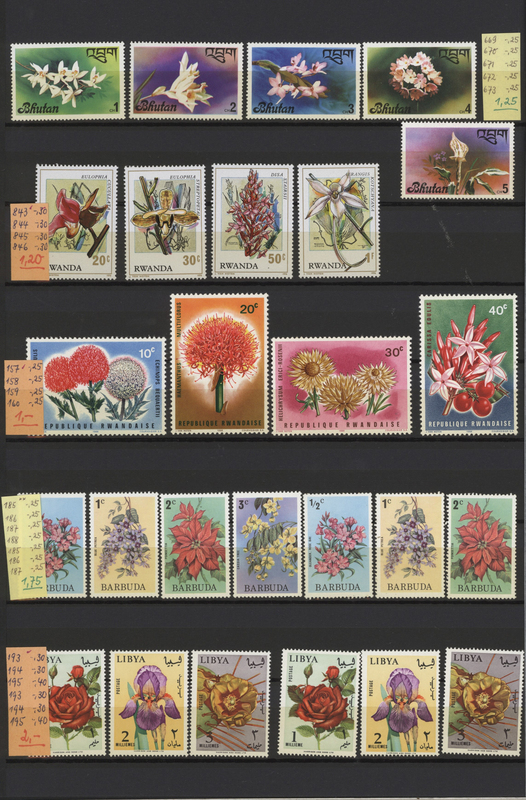 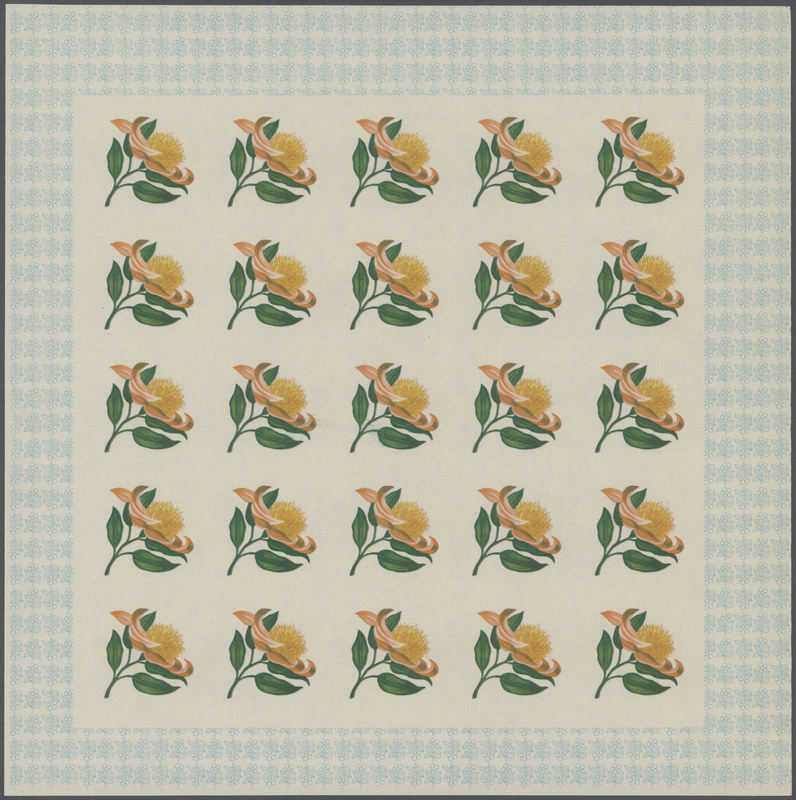 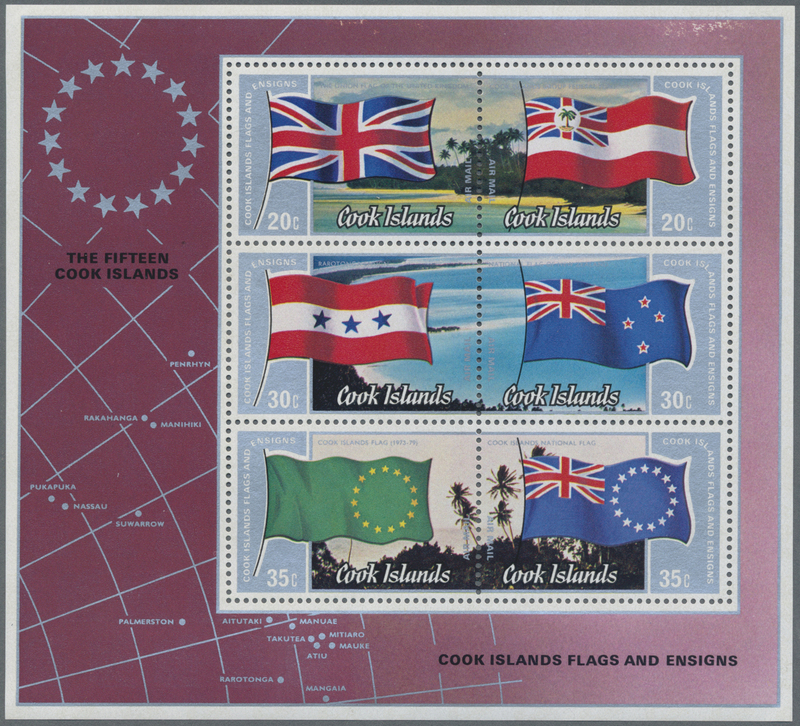 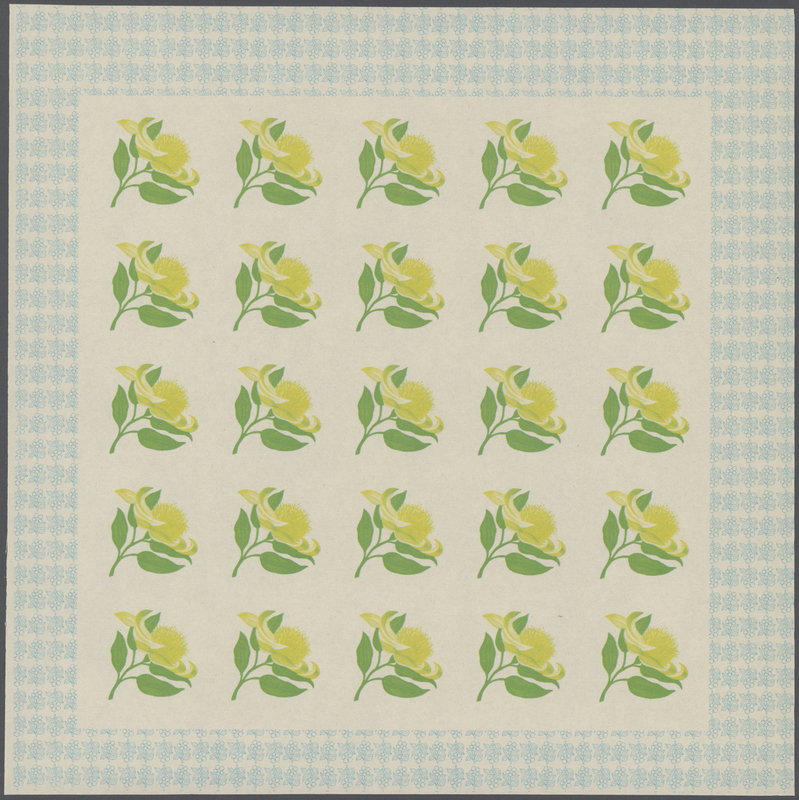 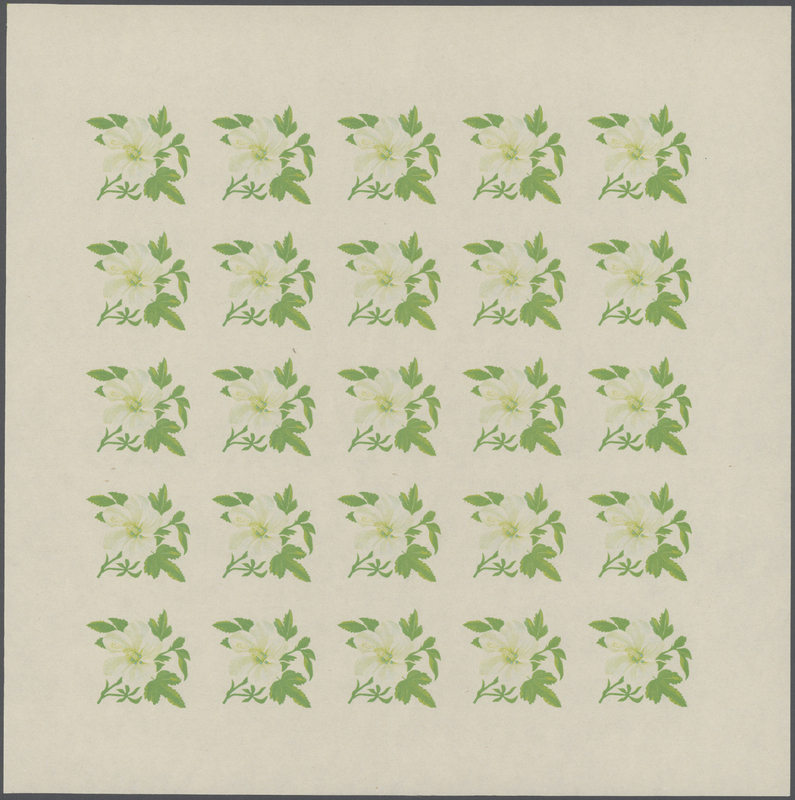 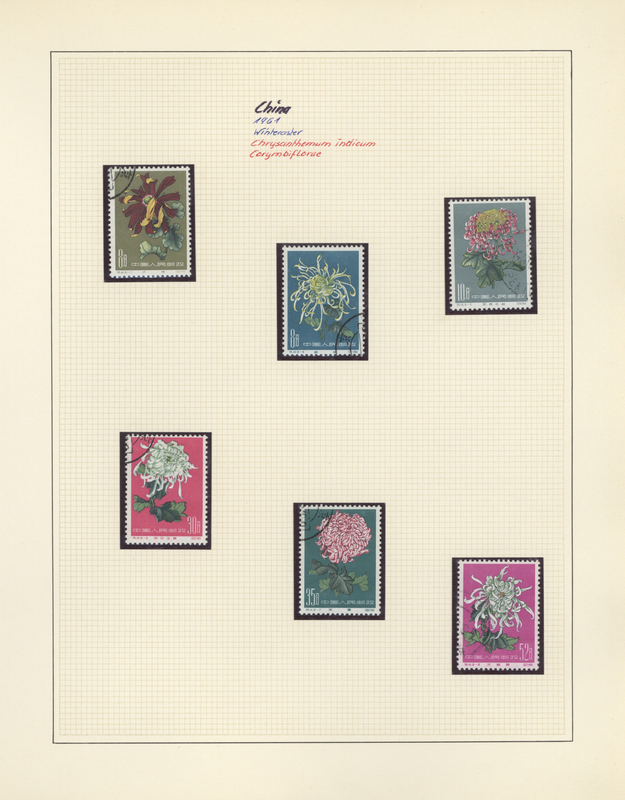 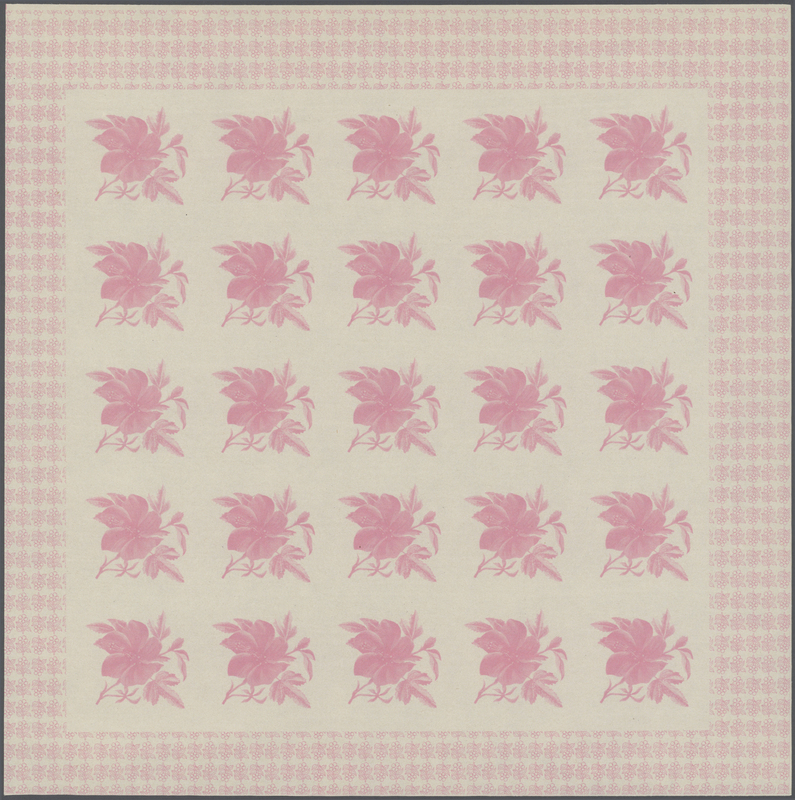 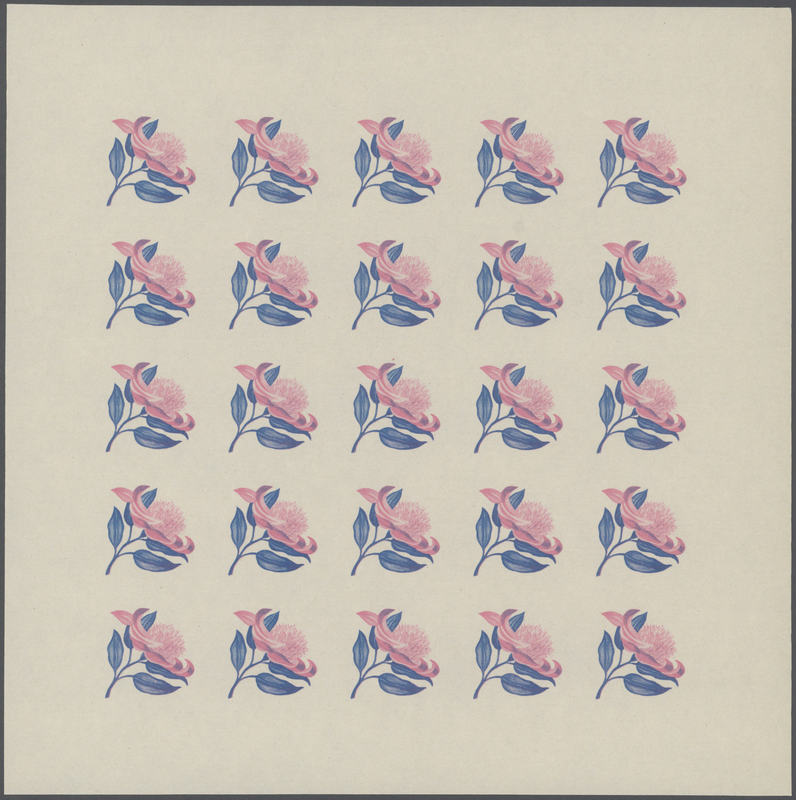 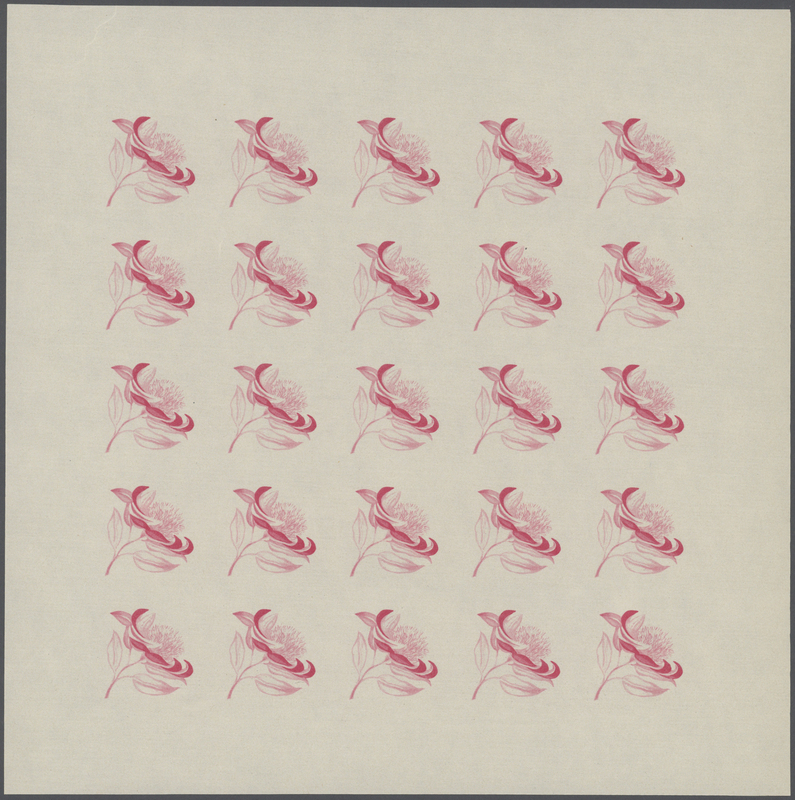 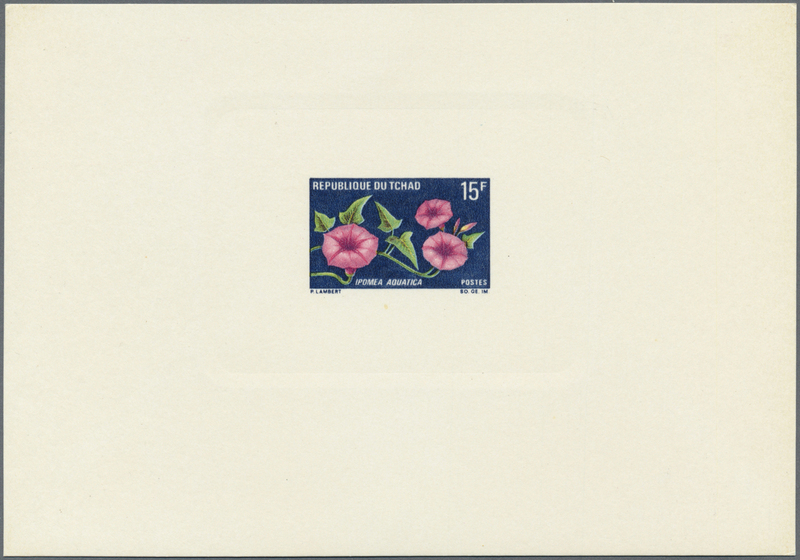 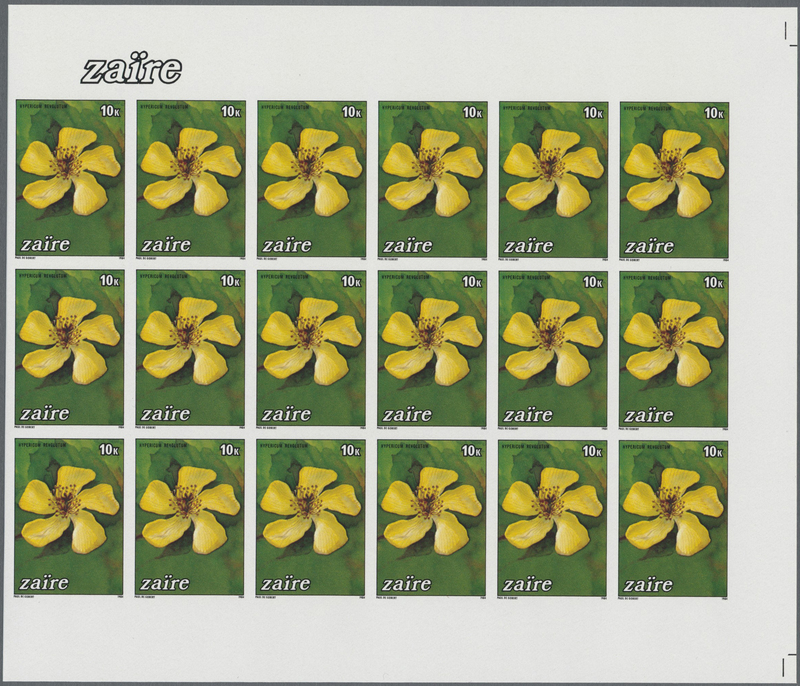 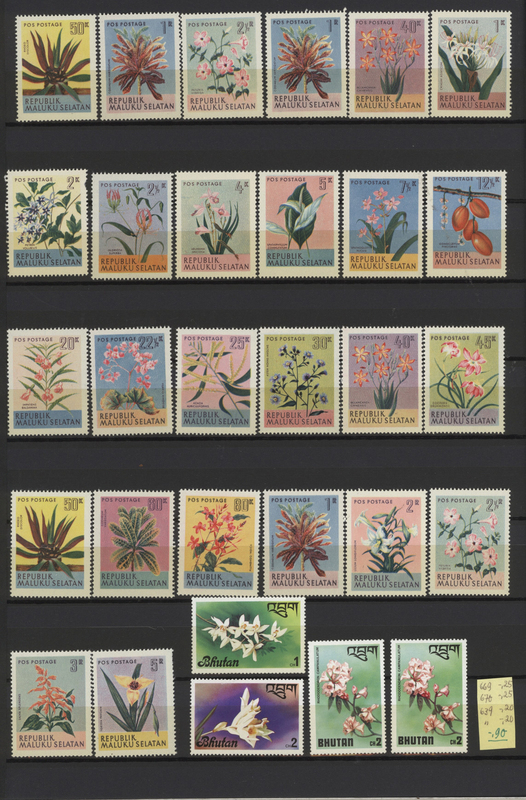 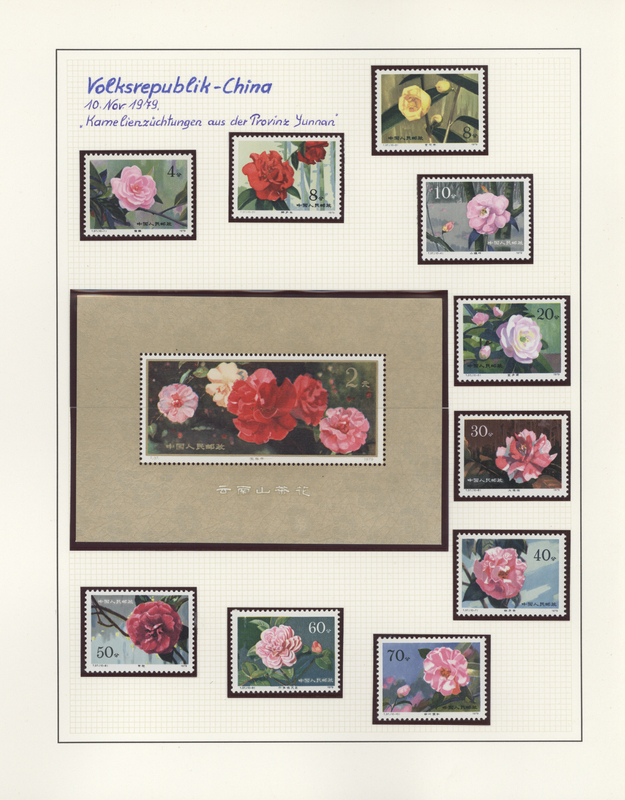 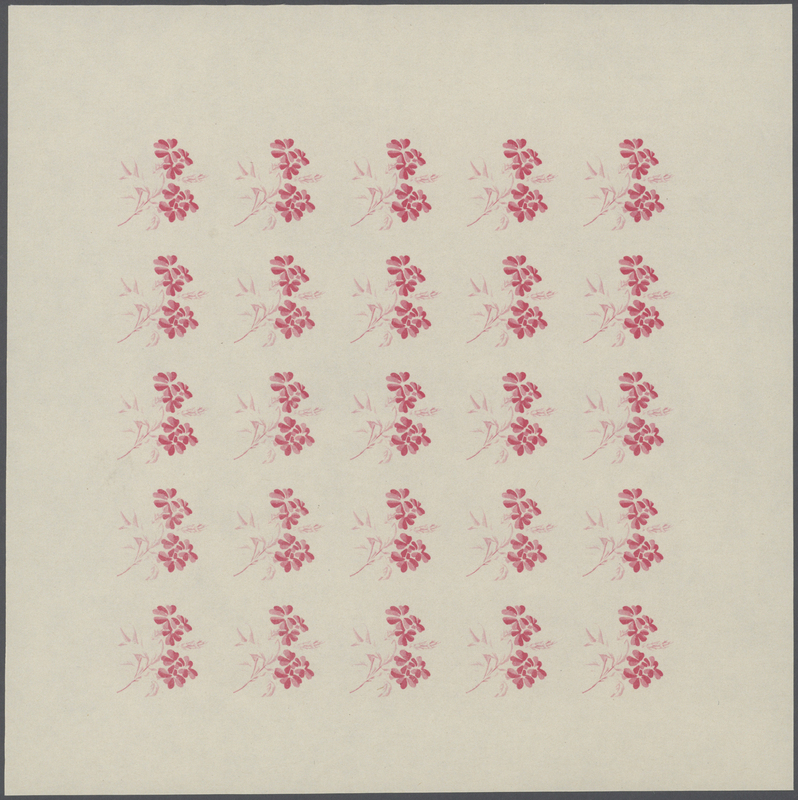 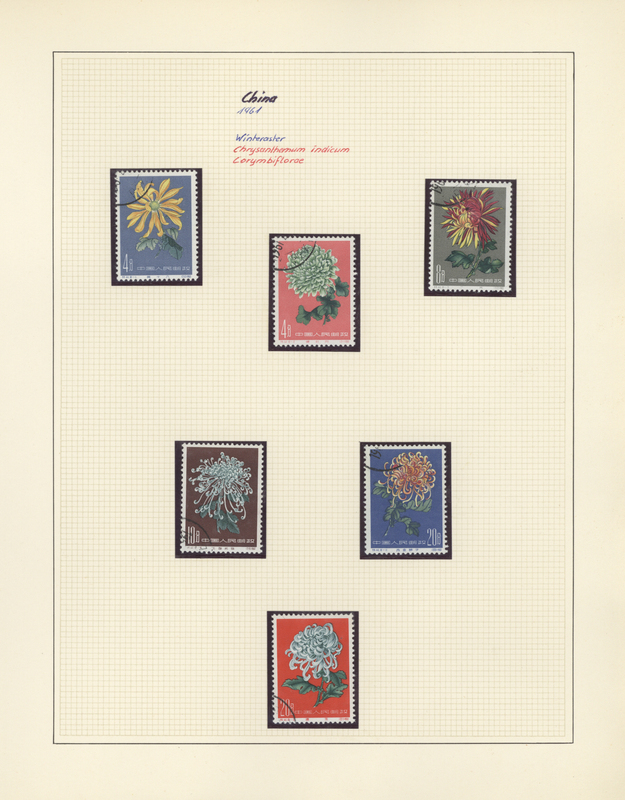 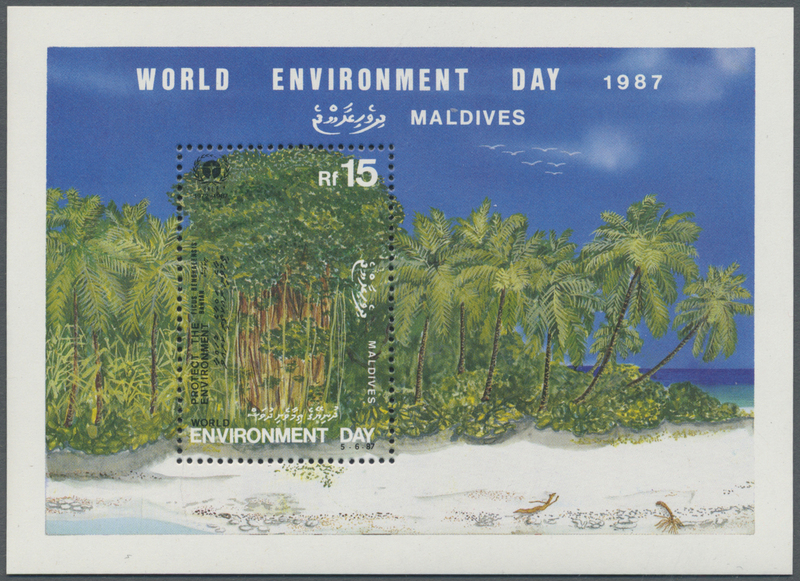 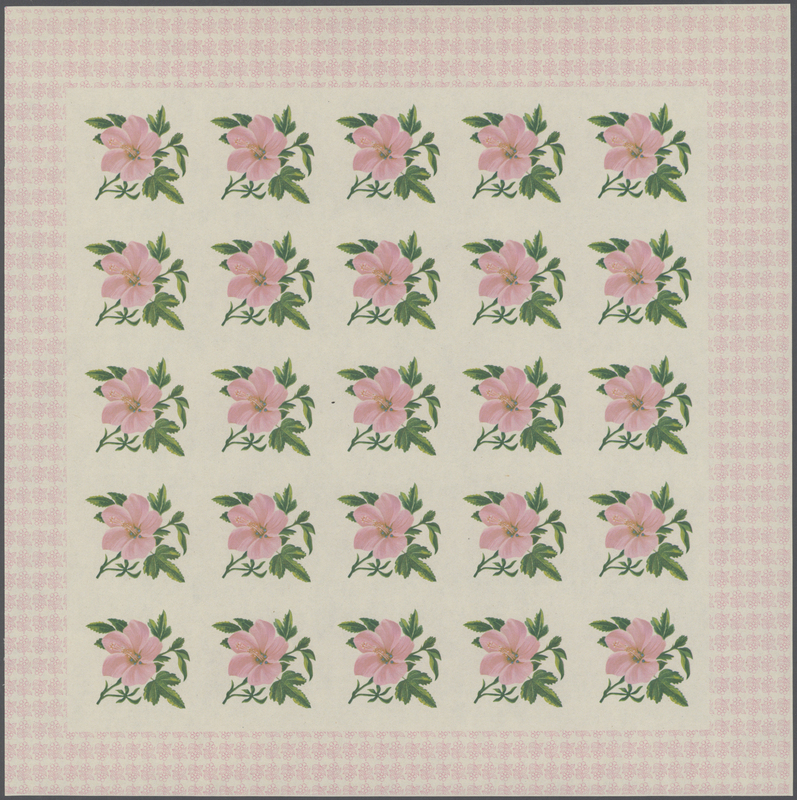 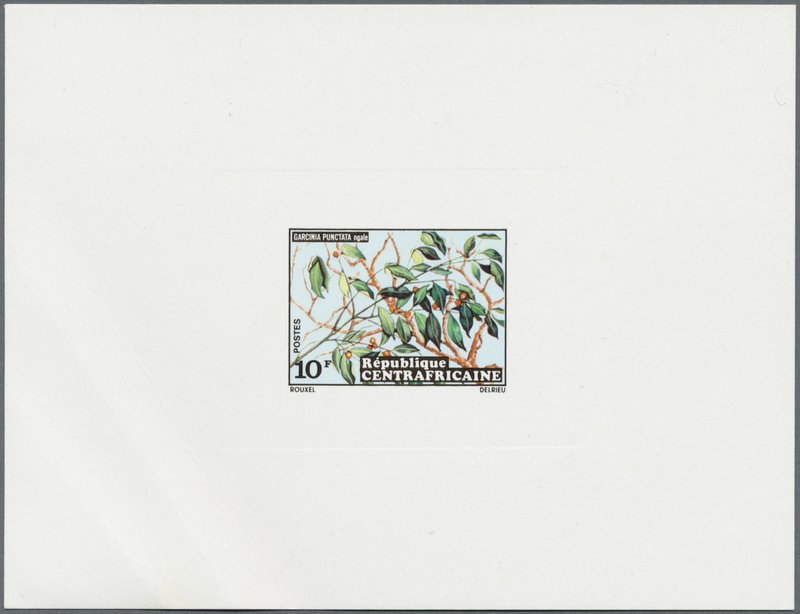 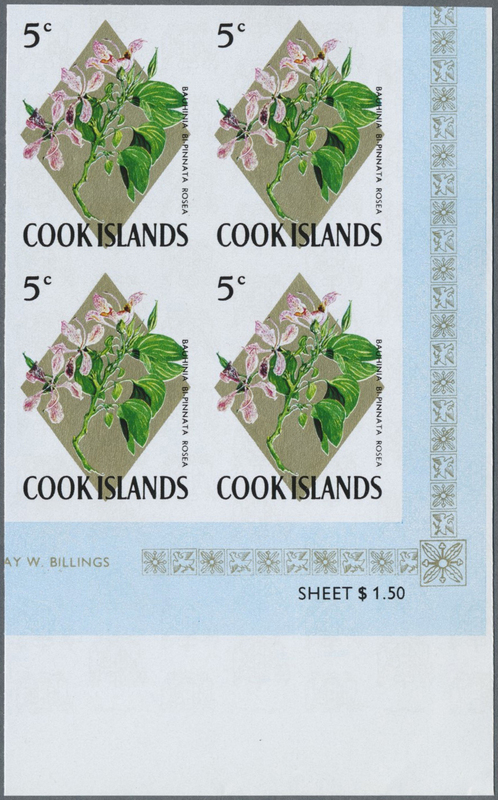 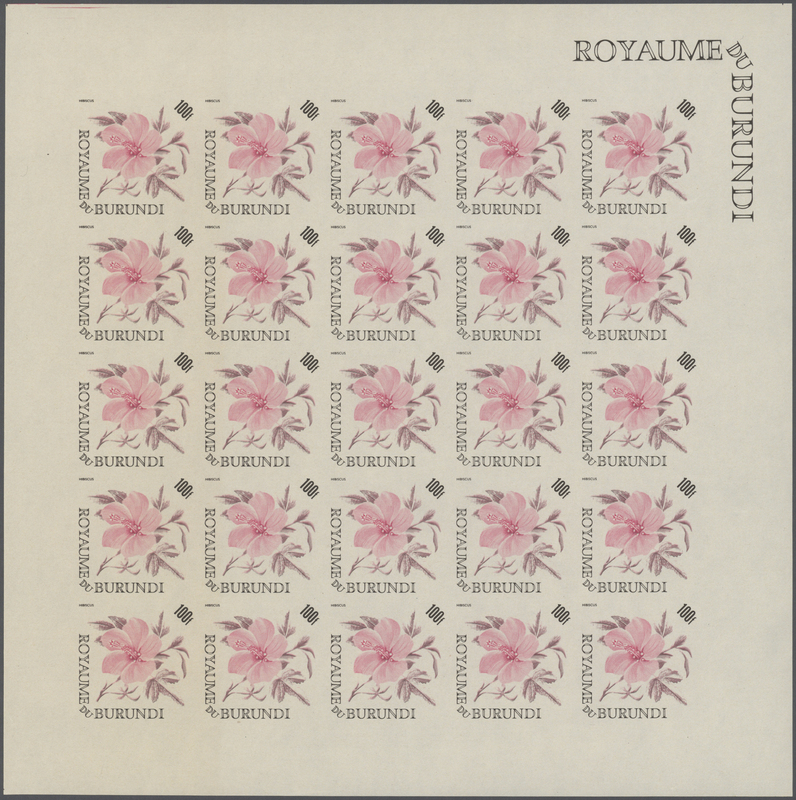 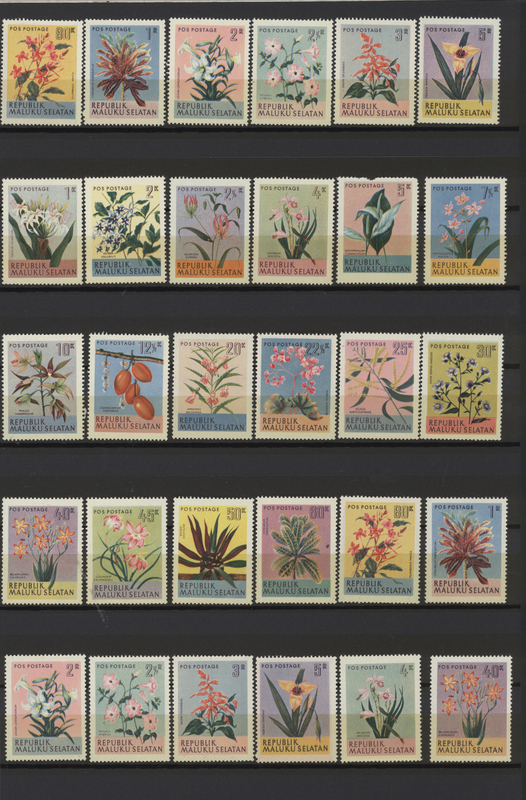 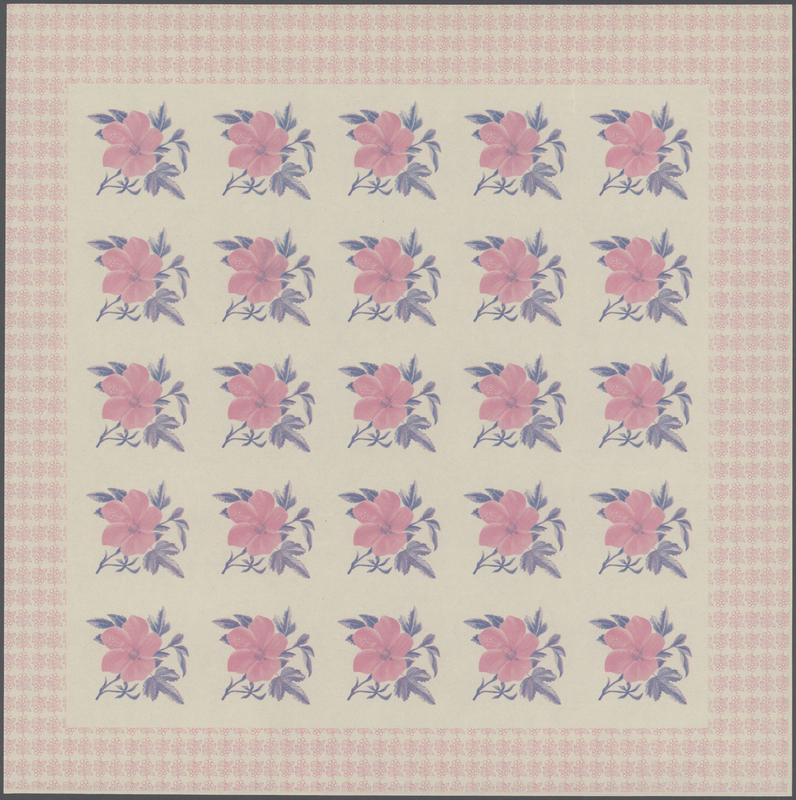 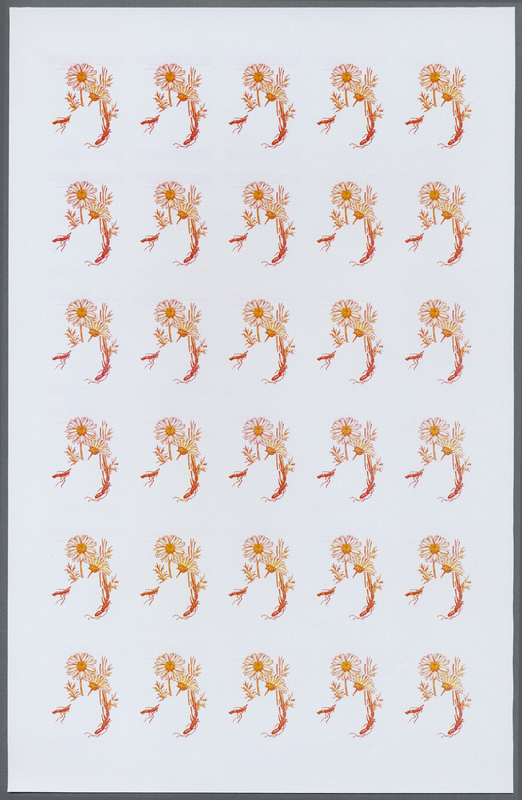 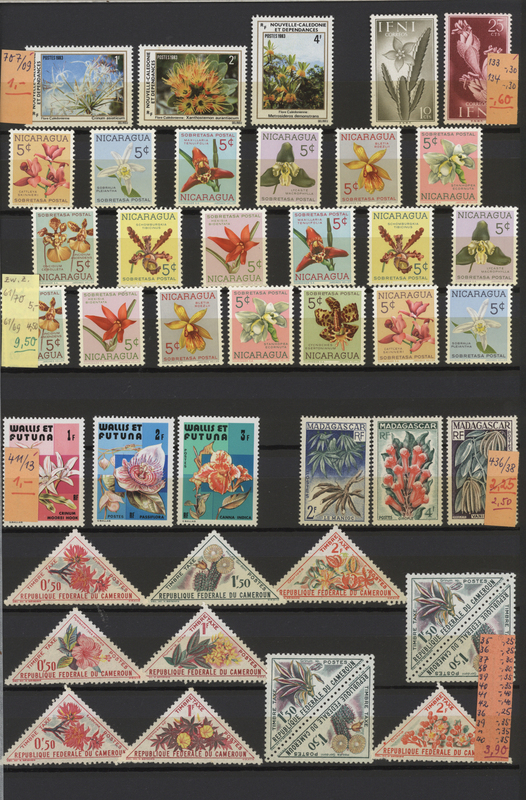 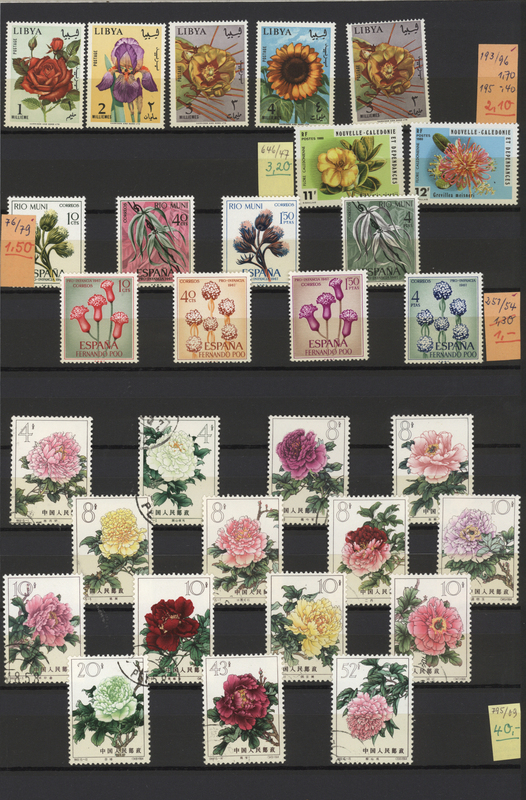 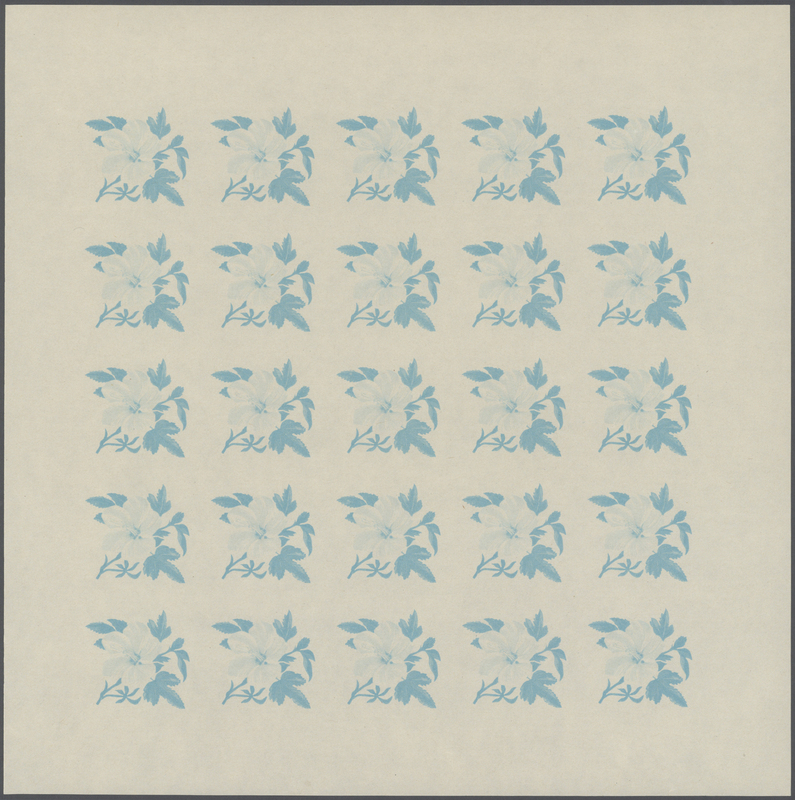 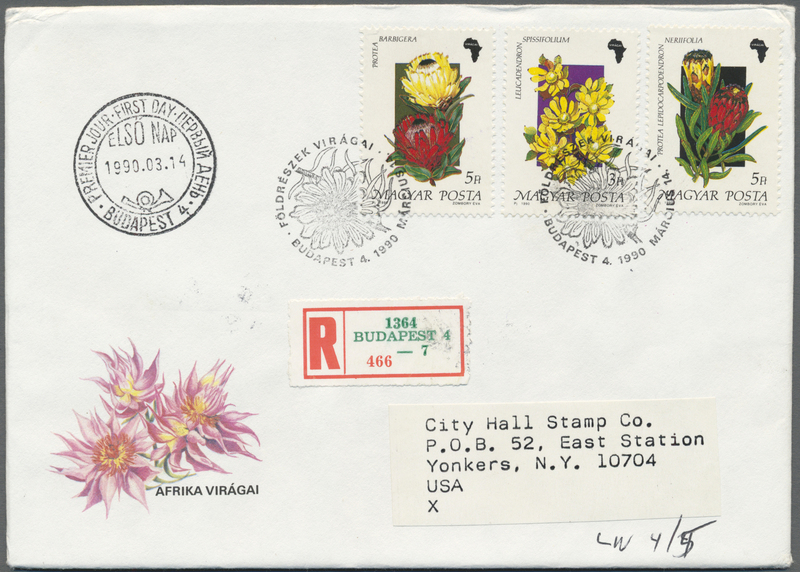 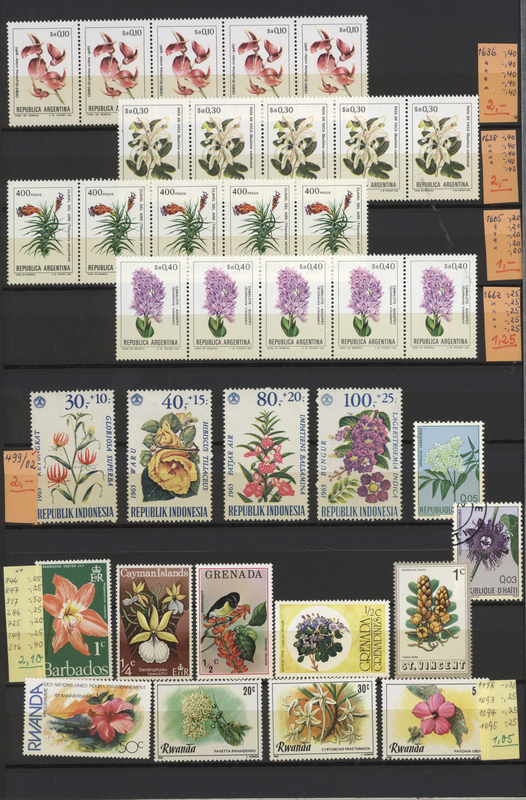 1973, SINGAPORE: Flowers defintives set of nine 1c. 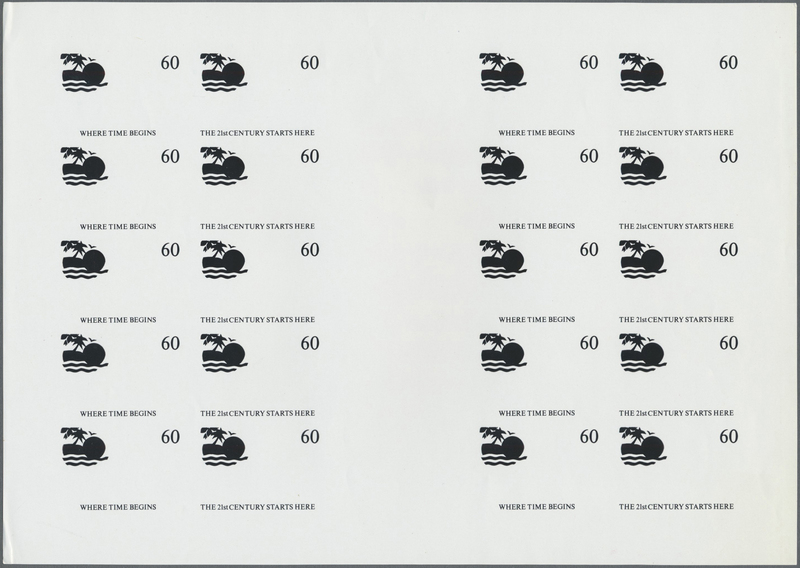 to 75c. 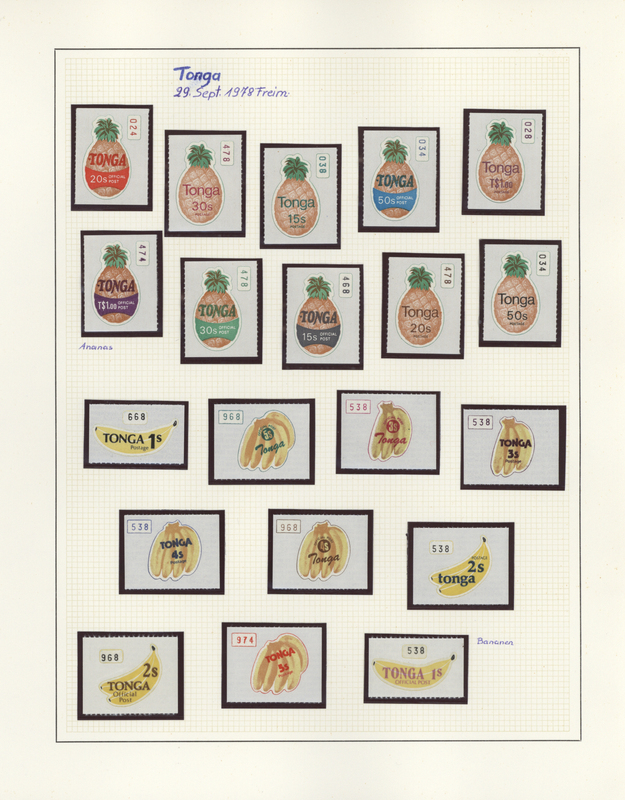 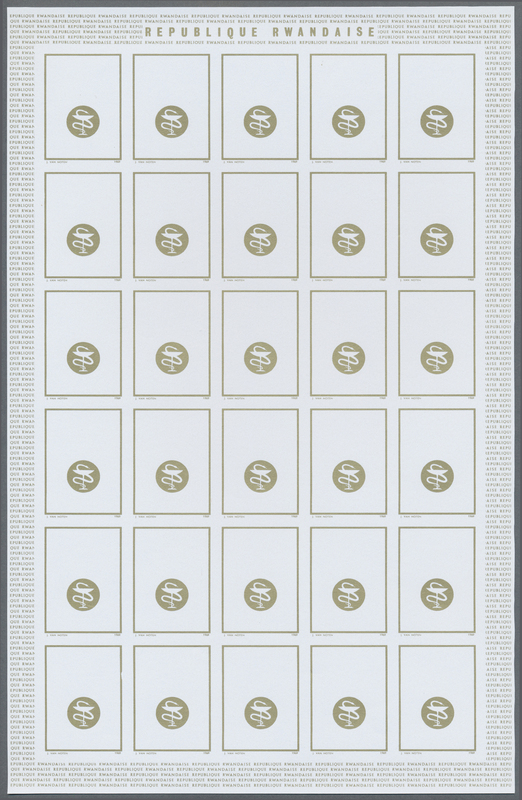 in a lot with about 20 IMPERFORATE sets (+ some extras) incl. 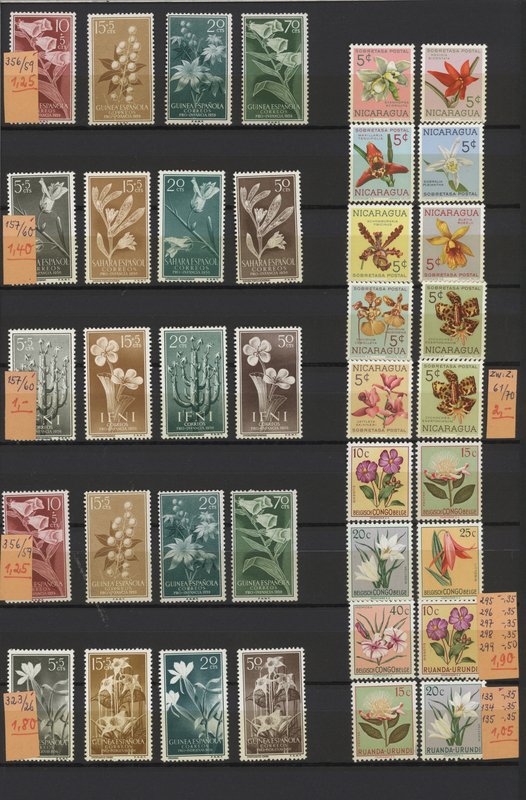 many pairs or strips/3, MNH and scarce, Mi. 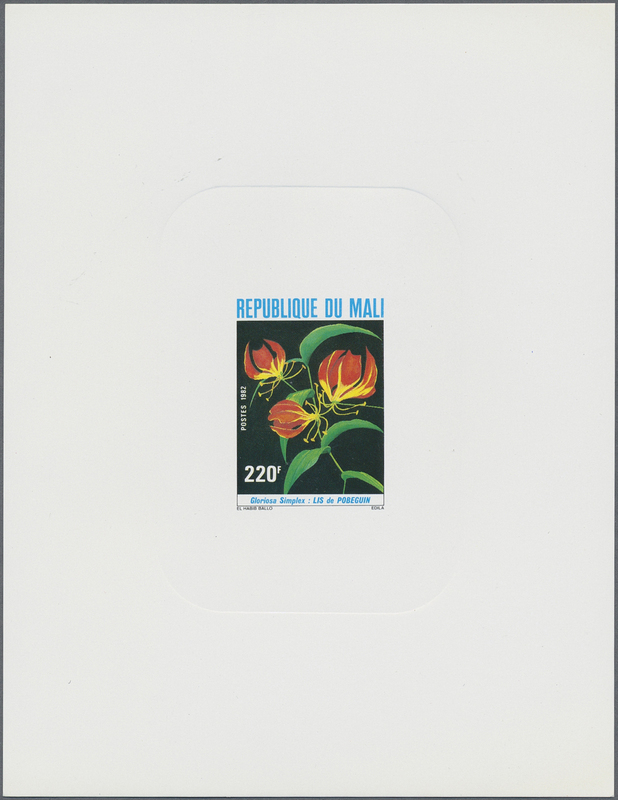 192/200 var. 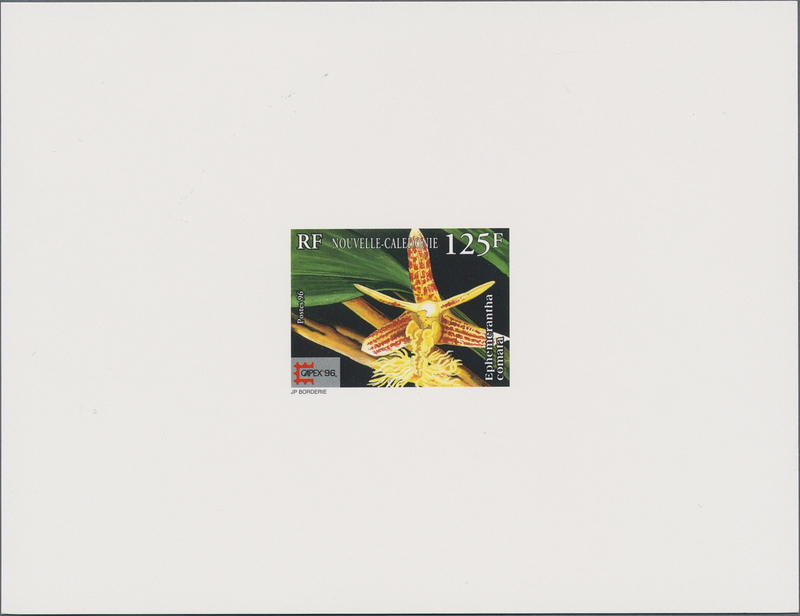 32701 postfrisch (never hinged) ** 802/05 var. 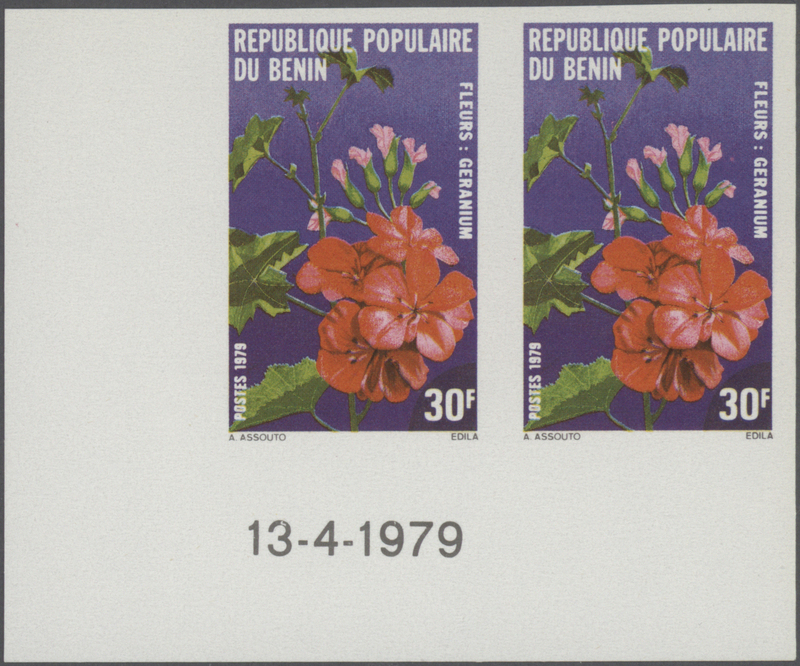 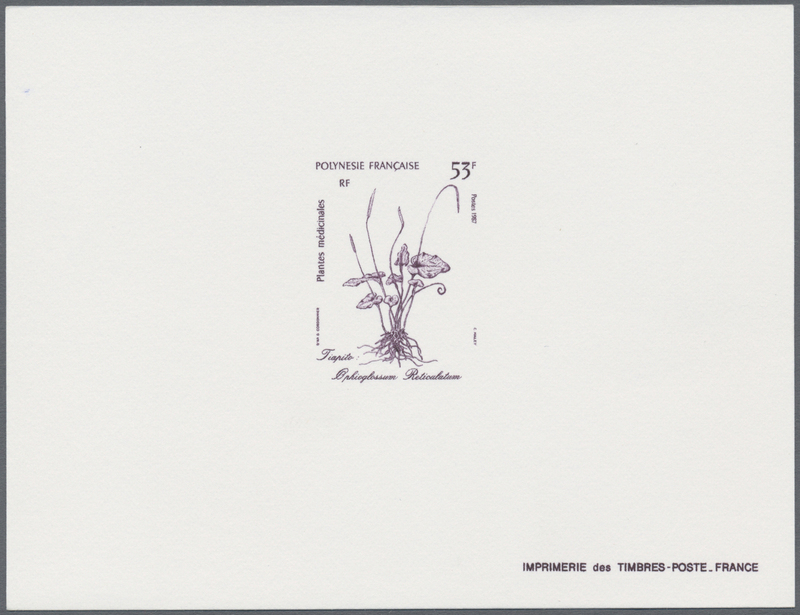 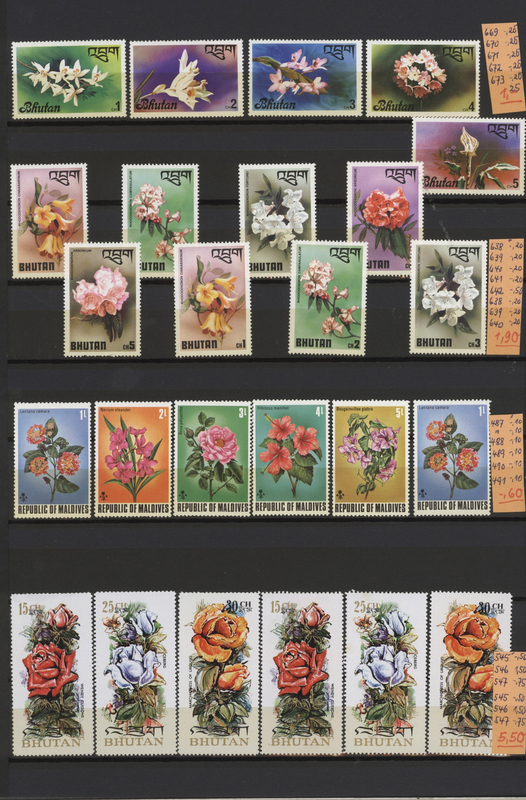 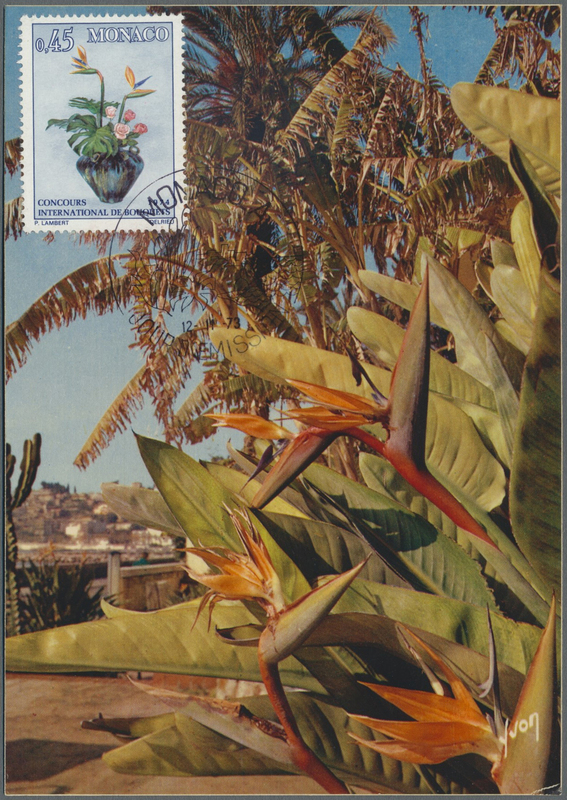 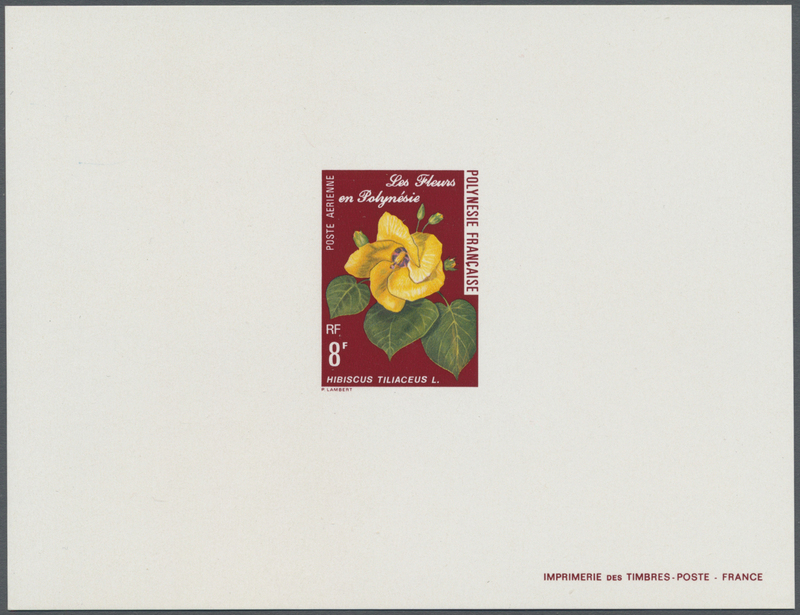 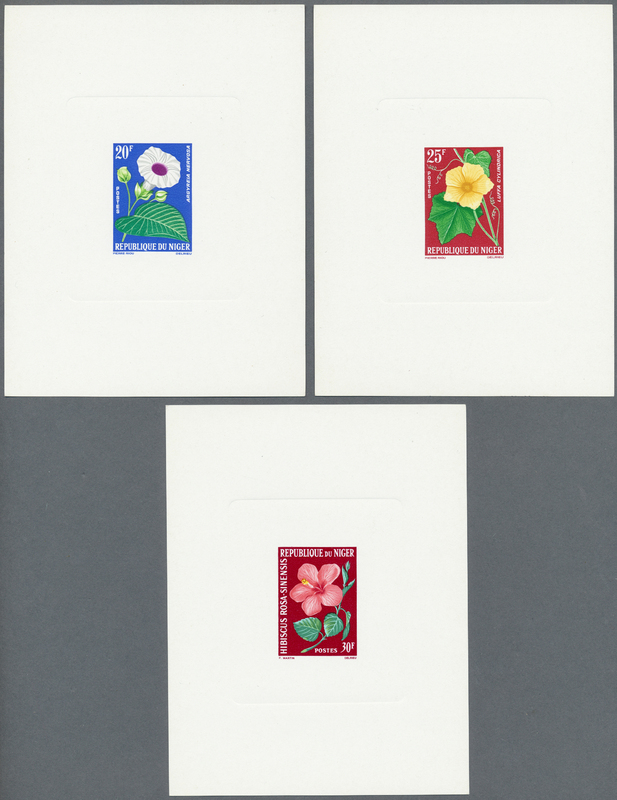 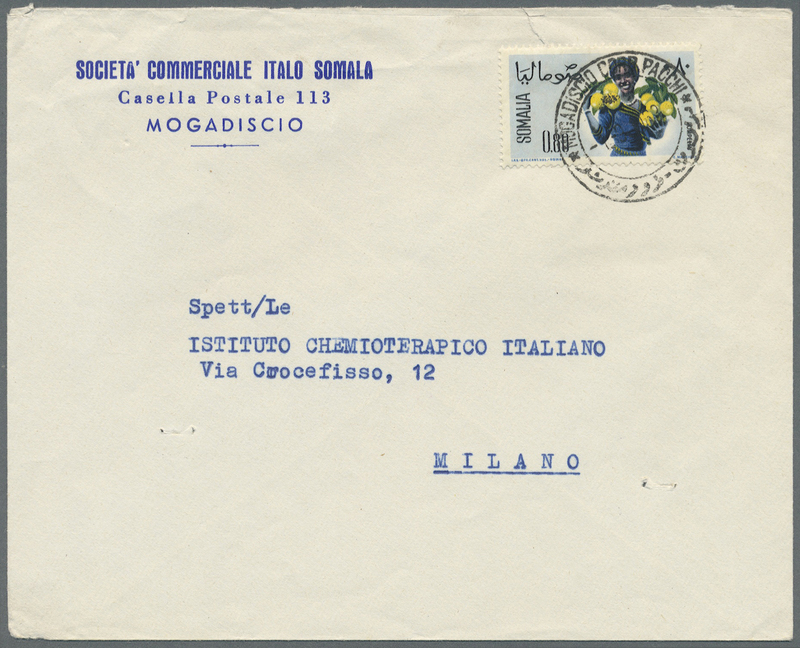 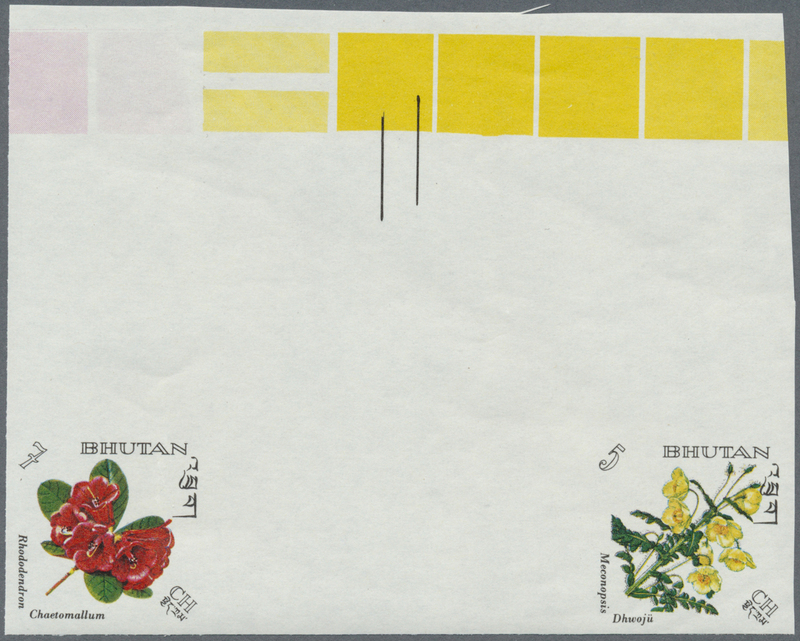 1975, MOROCCO: flowers complete set of four incl. 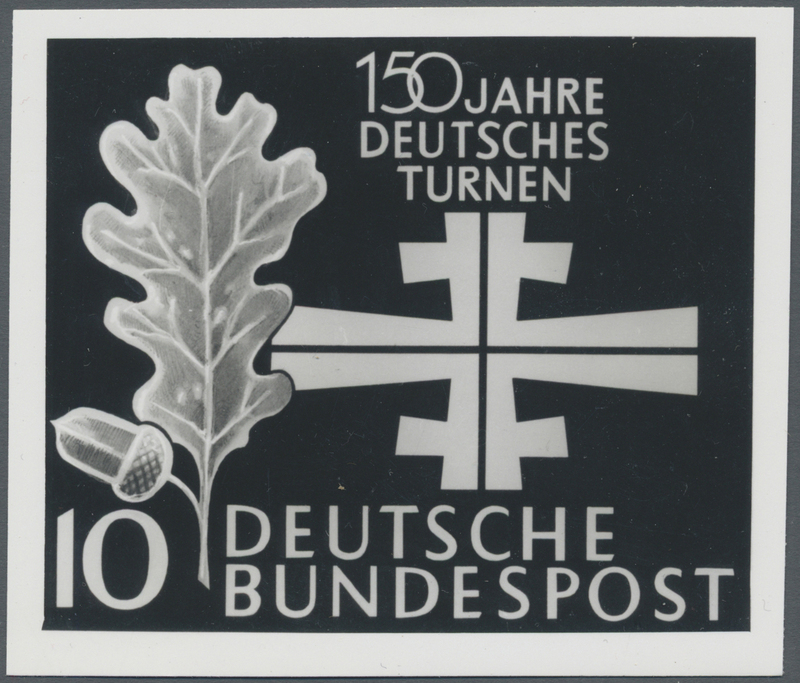 0.10dh. 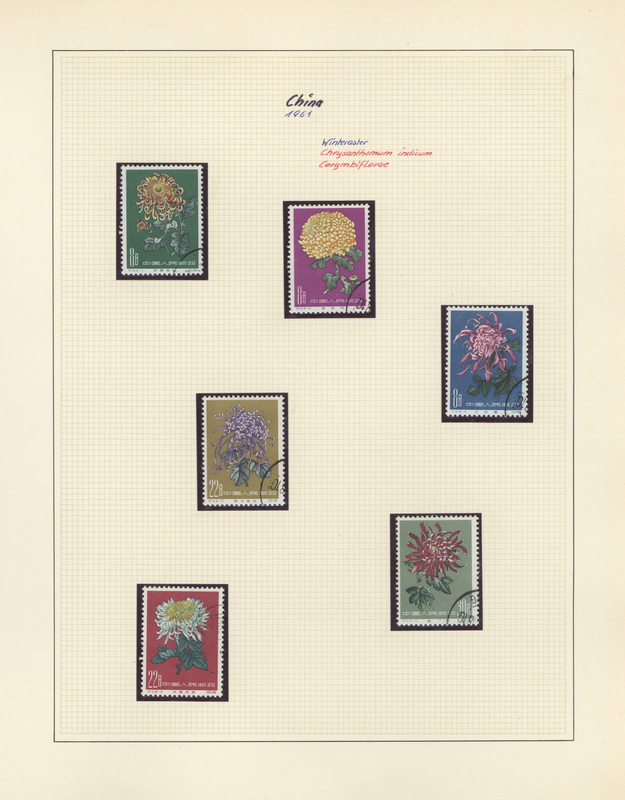 ‚Chrysanthemum carinatum‘, 0.50dh. 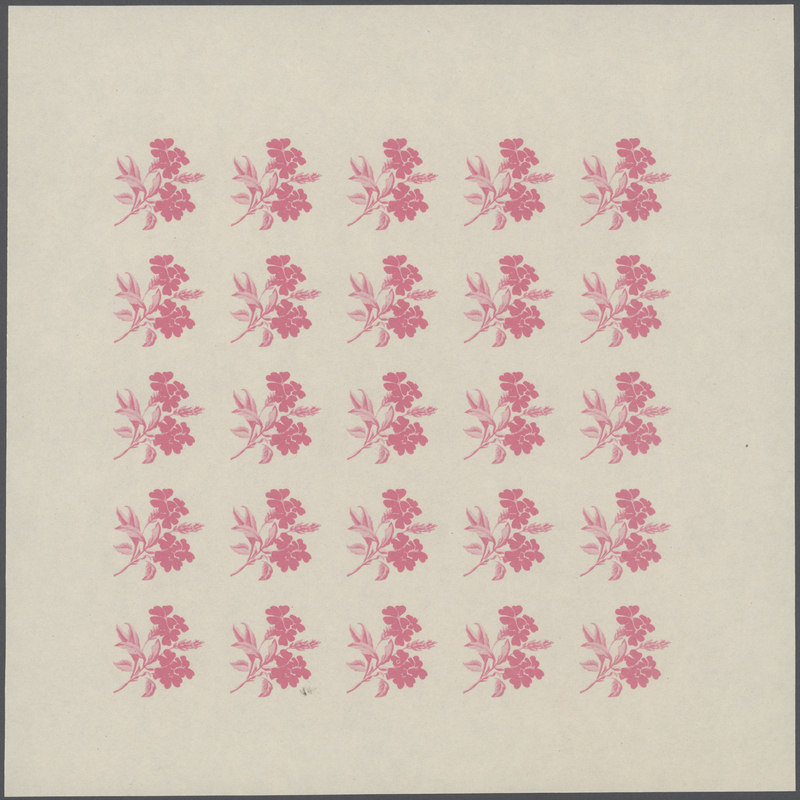 ‚Pelargonium sp.‘, 0.60dh. 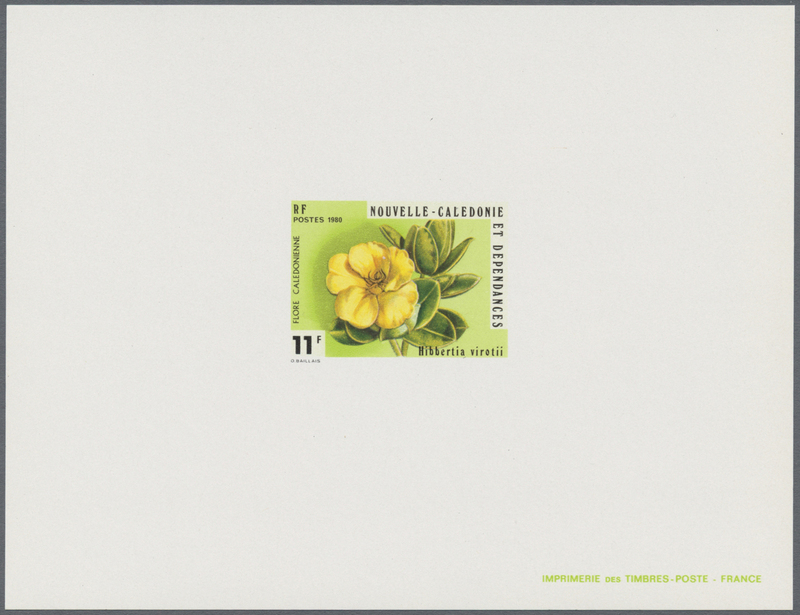 ‚Citrus aurantium‘ and 1.00dh. 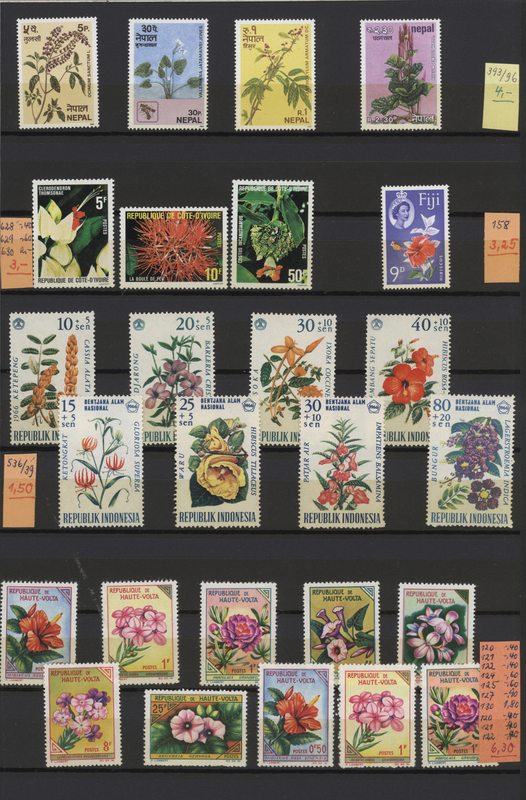 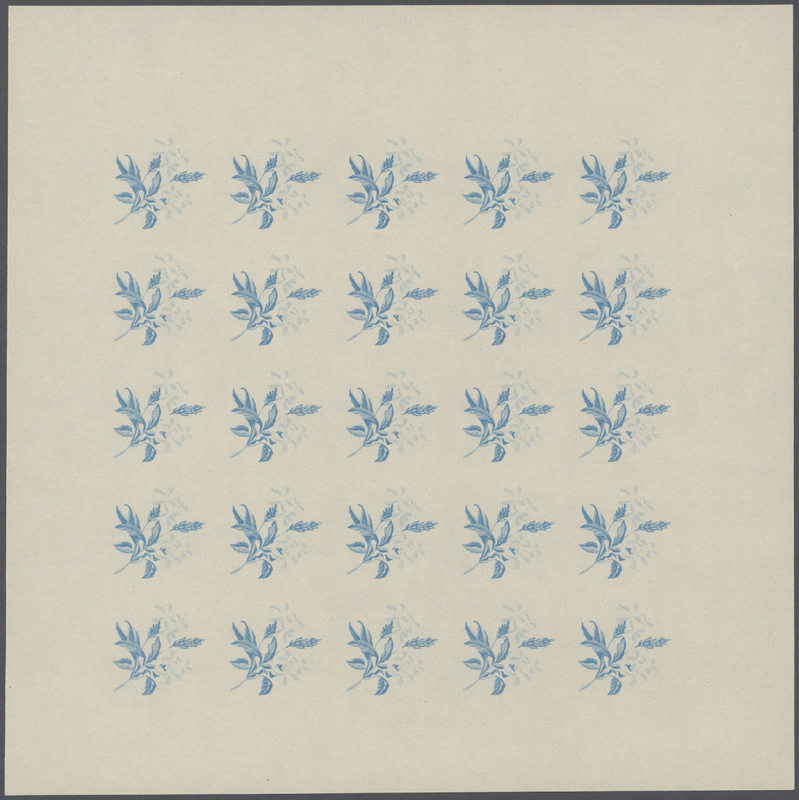 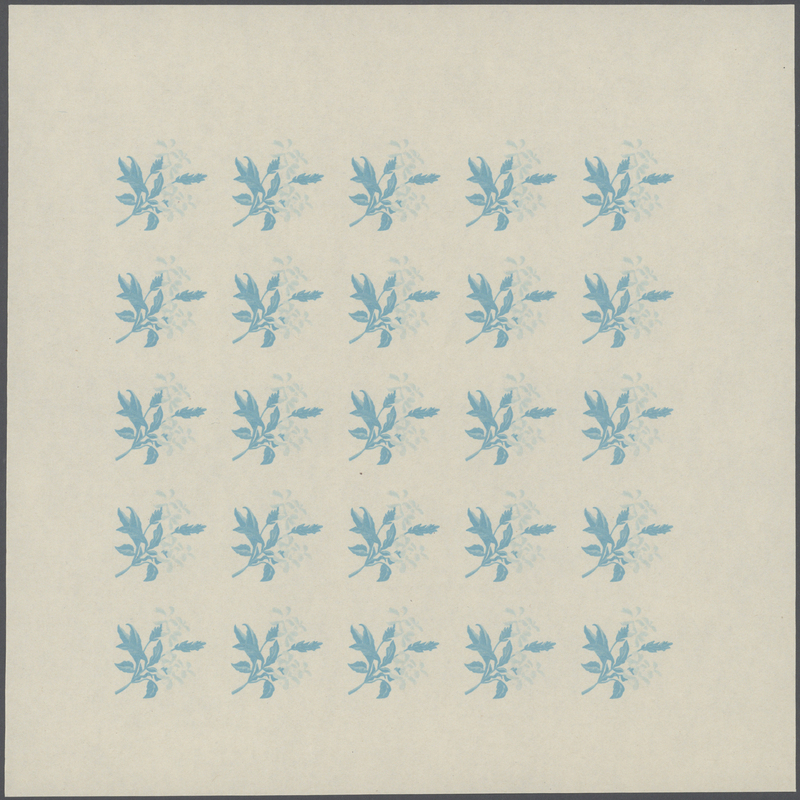 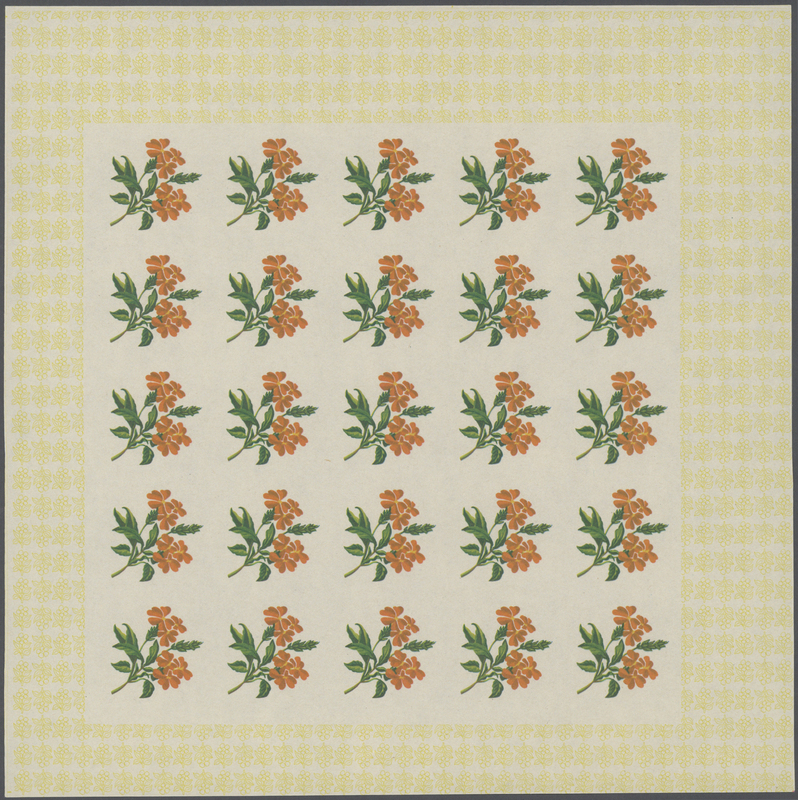 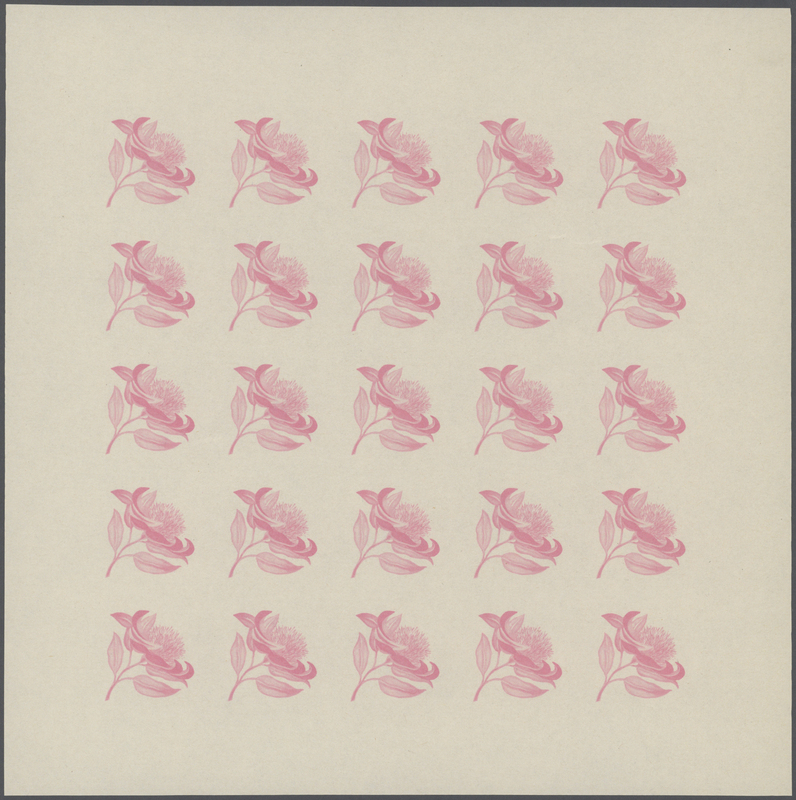 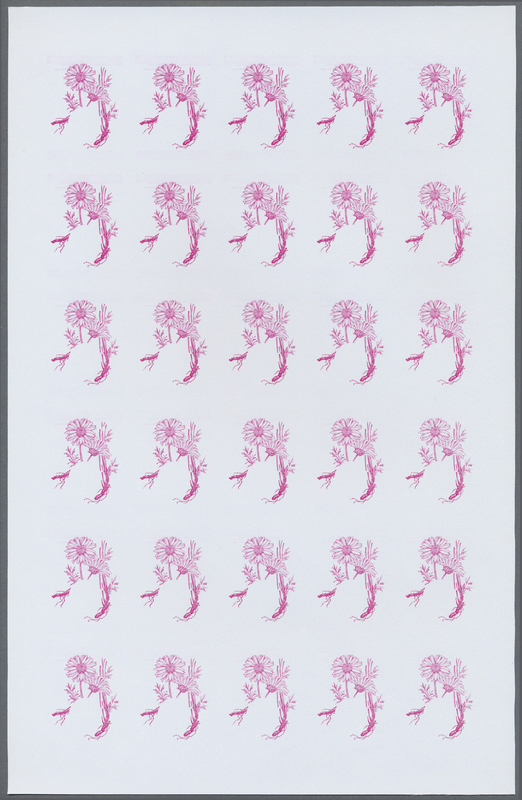 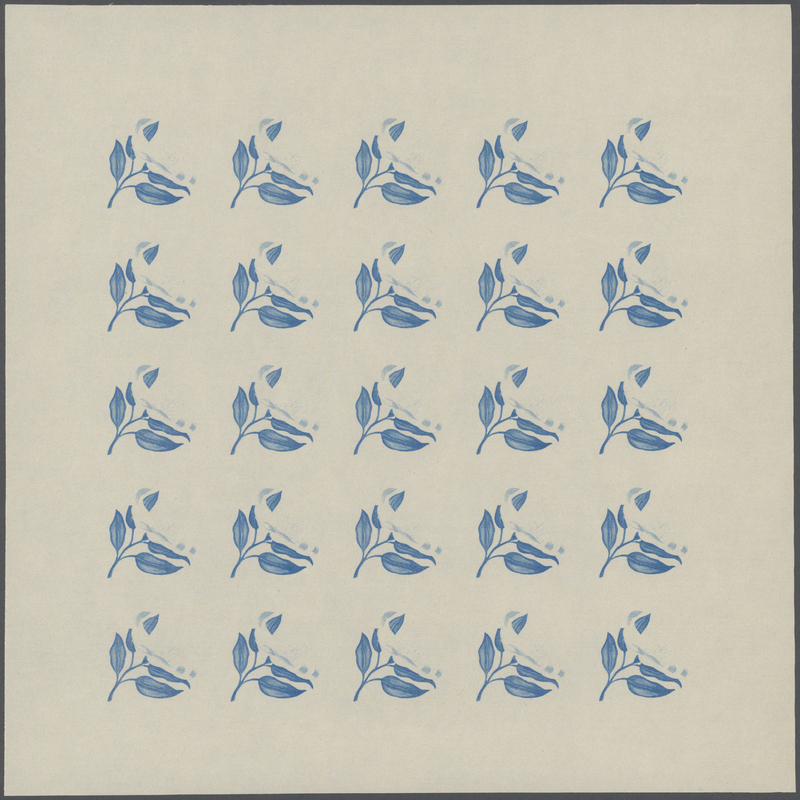 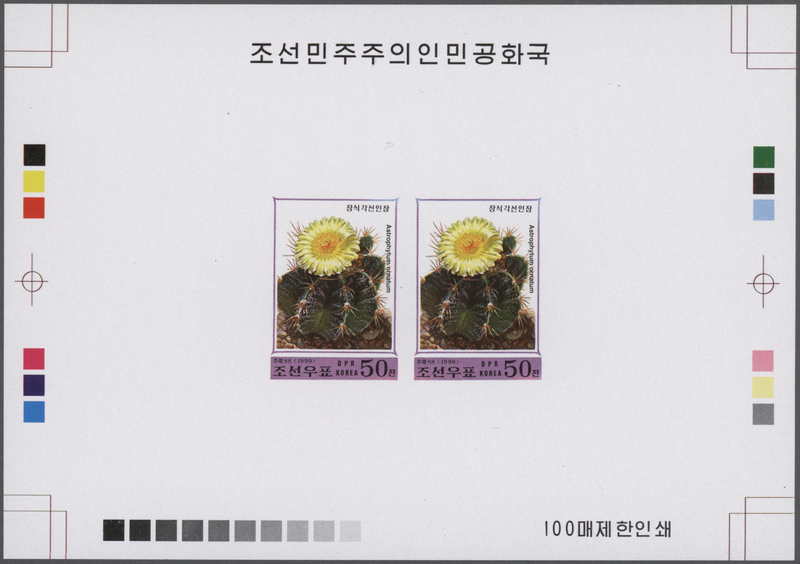 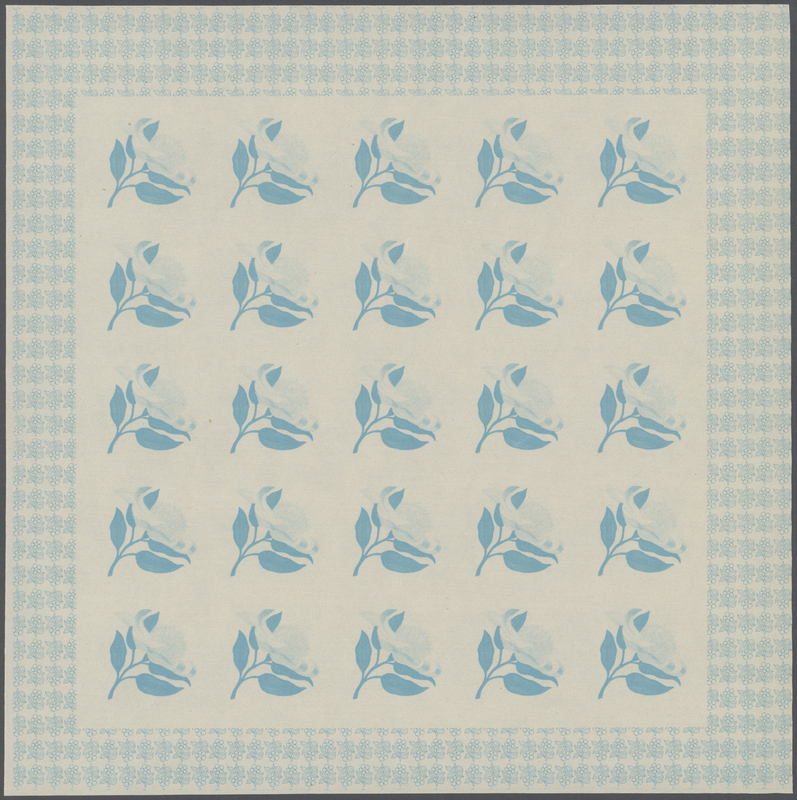 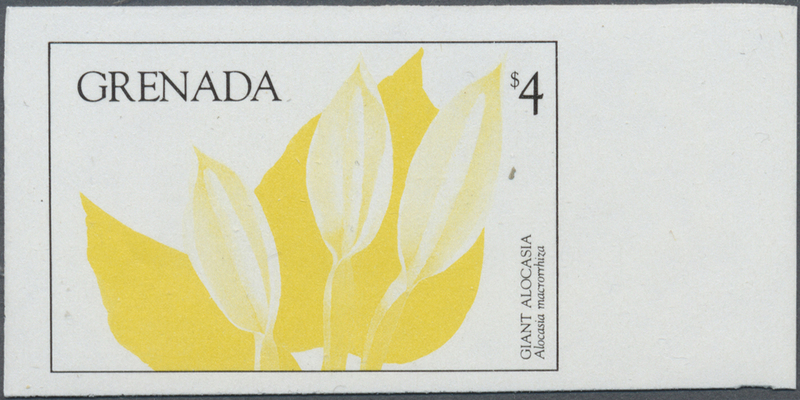 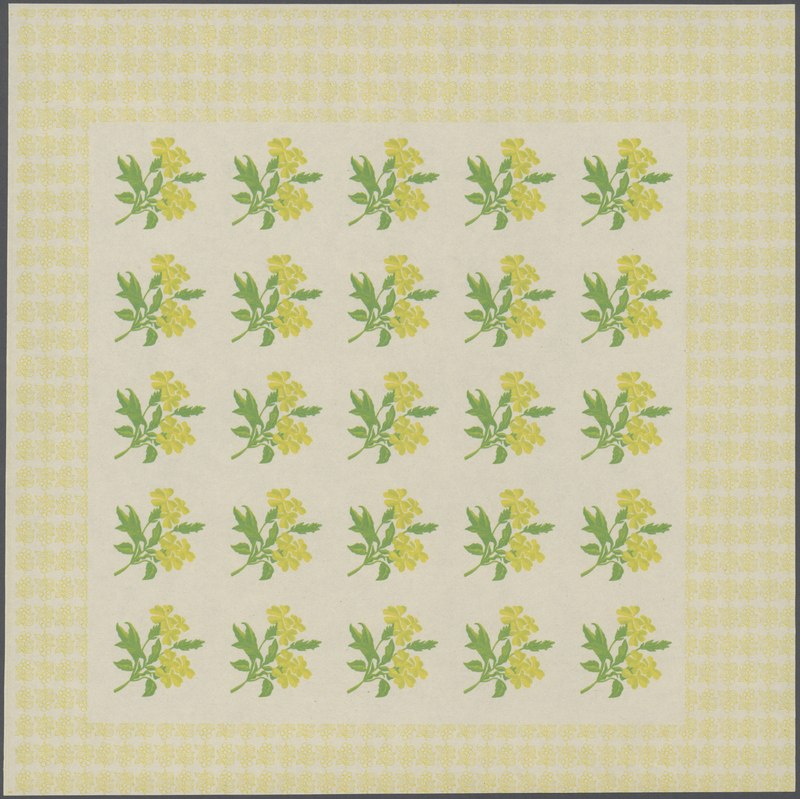 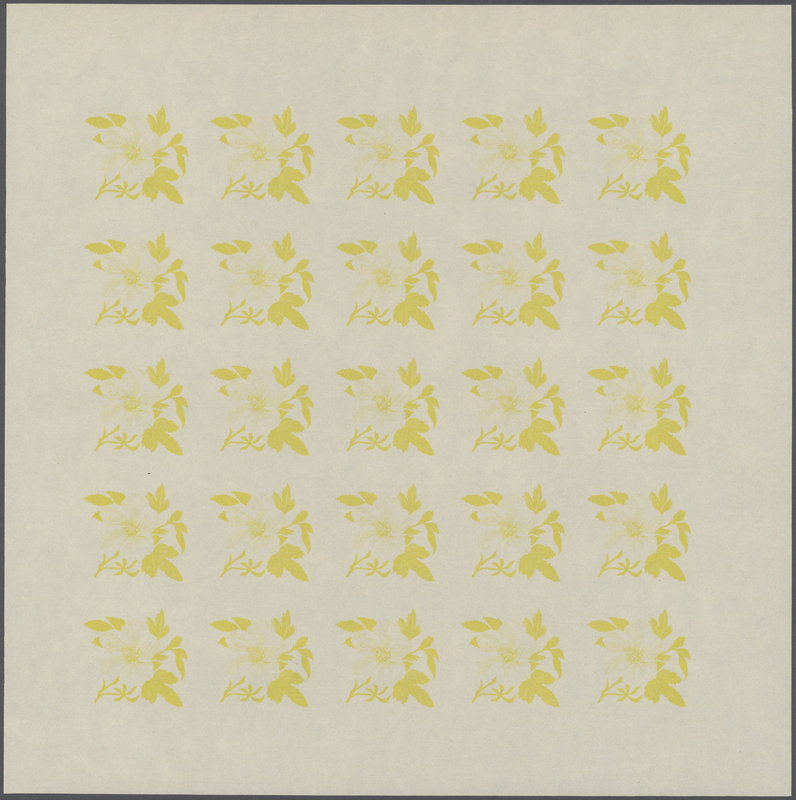 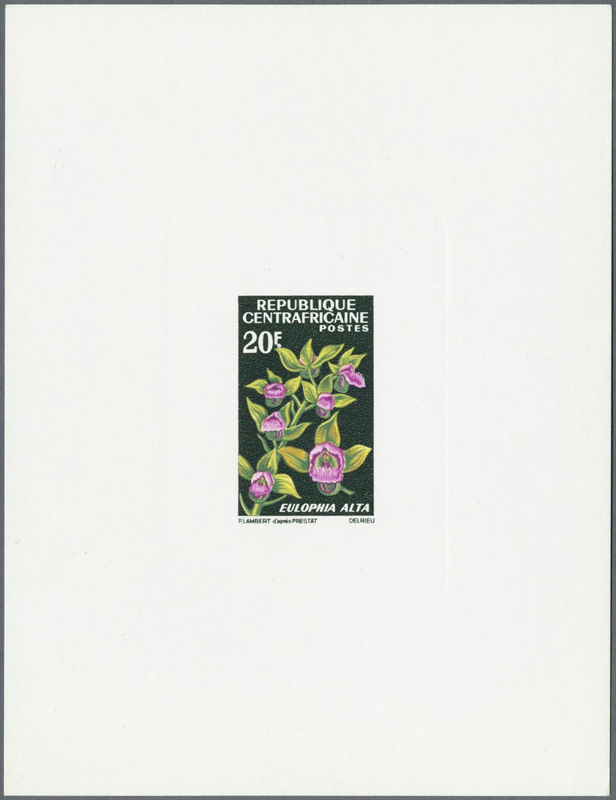 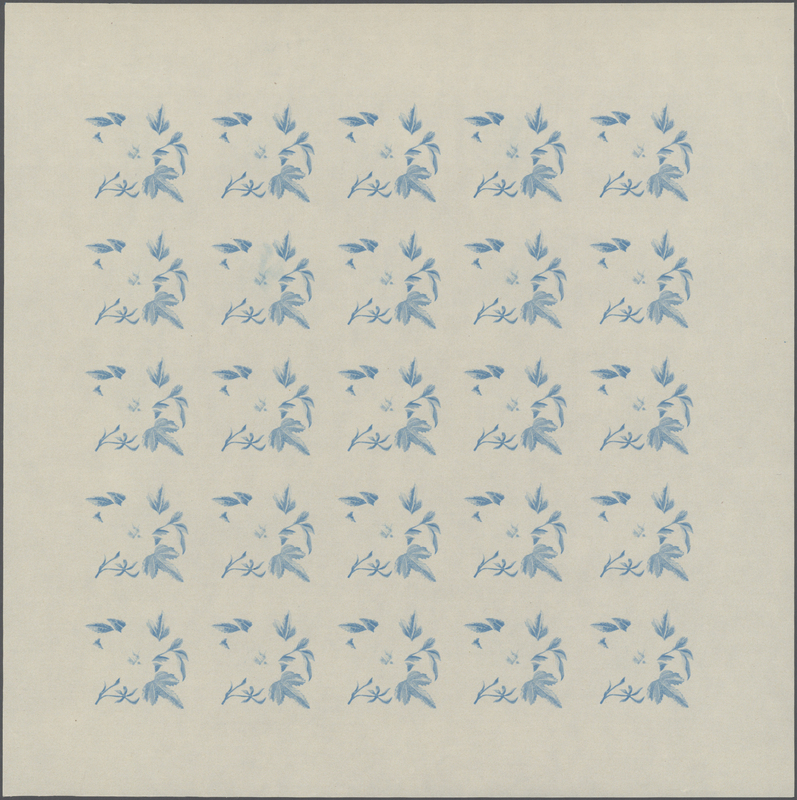 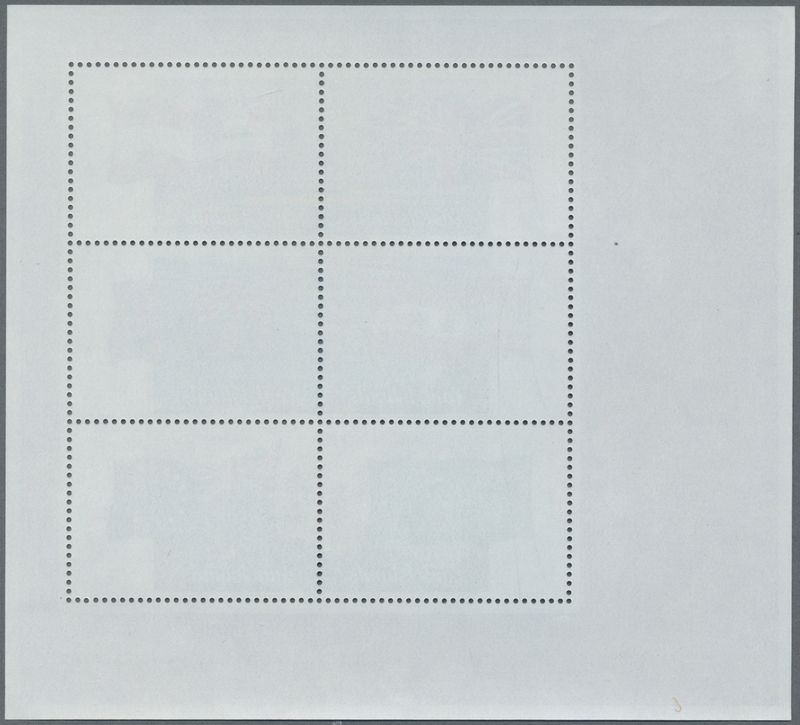 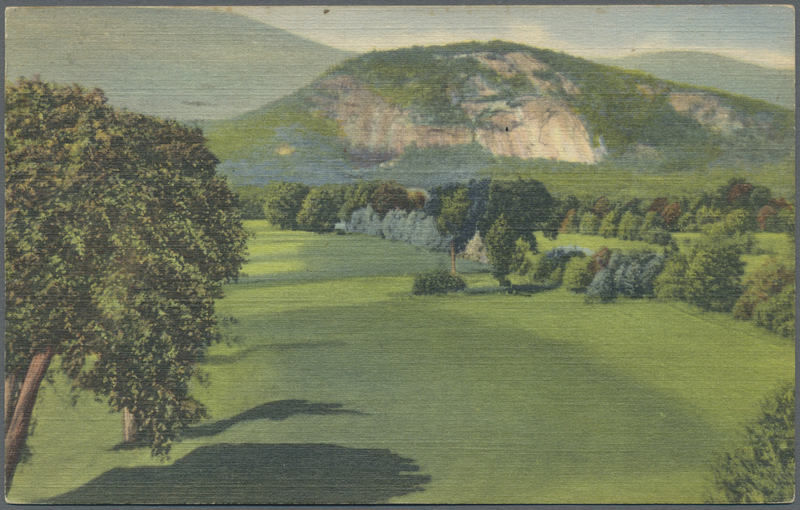 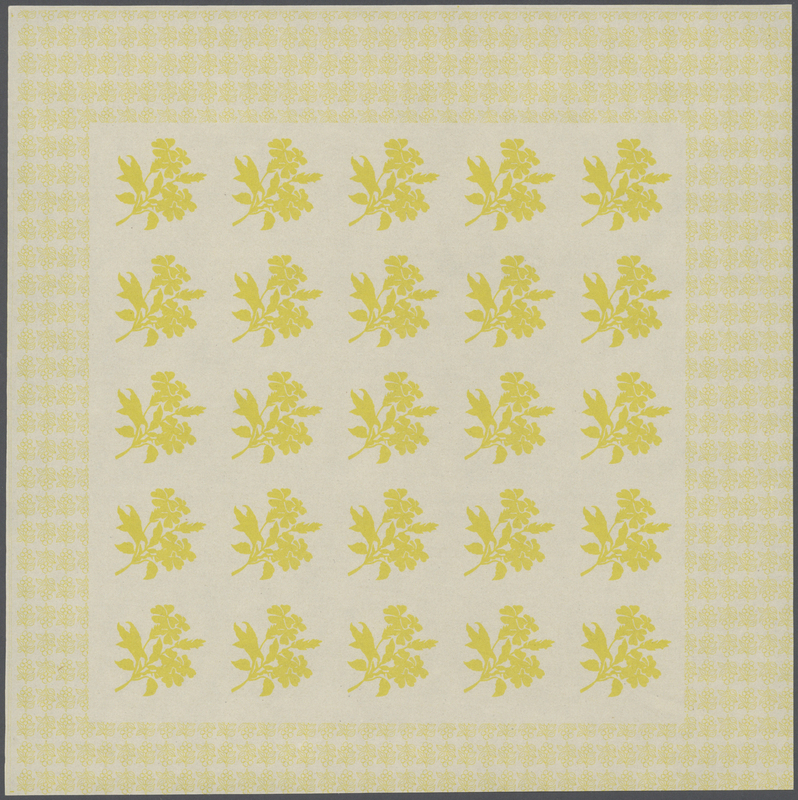 ‚Viola x wittrockiana‘ in a lot with 50 IMPERFORATE sets in larger blocks/part sheets, mint never hinged, Mi. 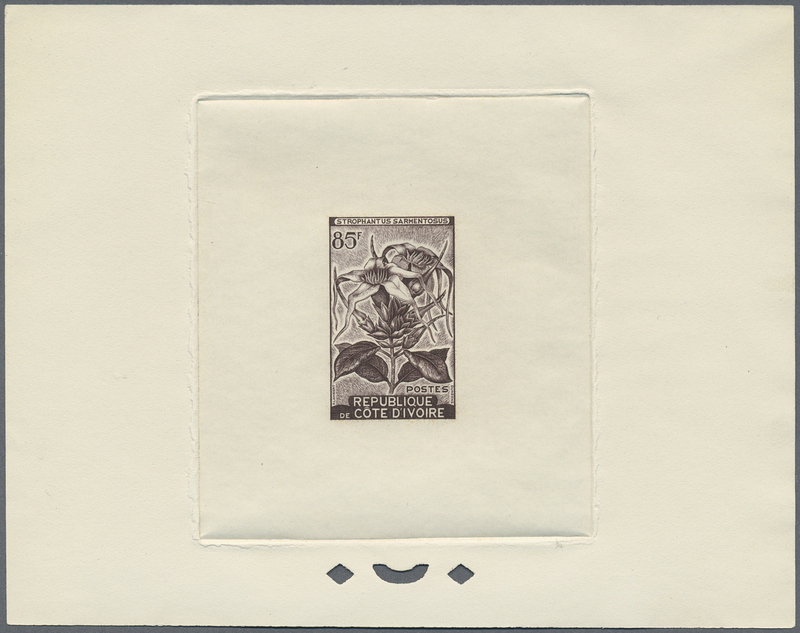 802/05 var. 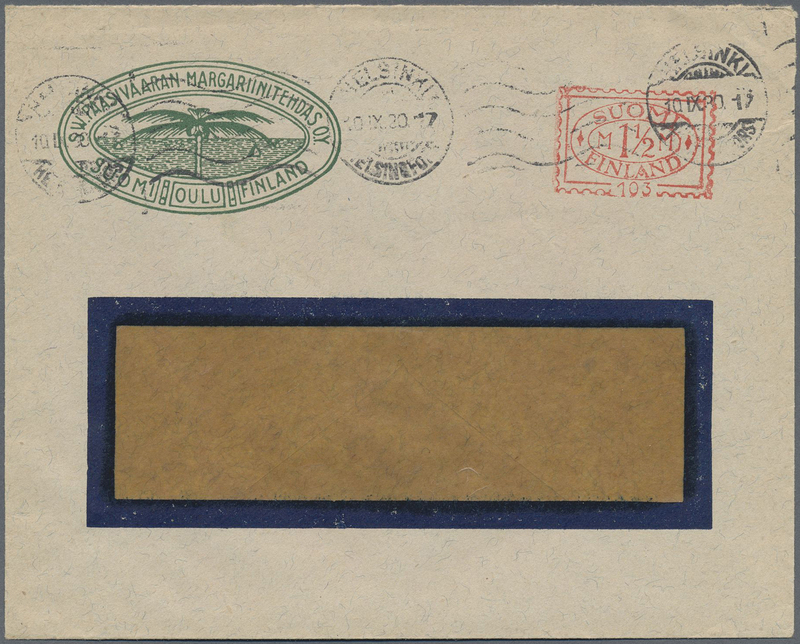 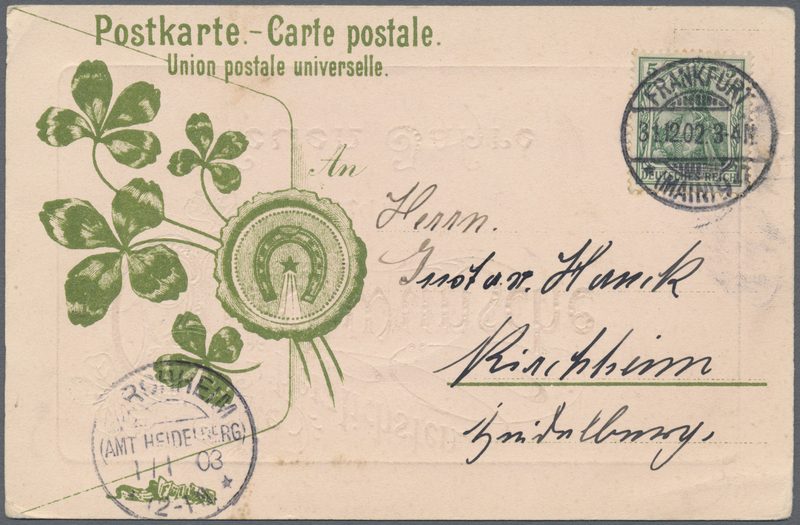 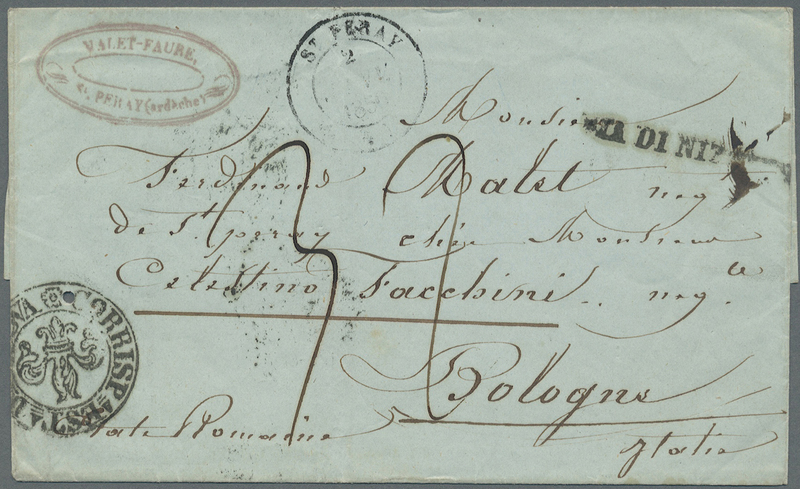 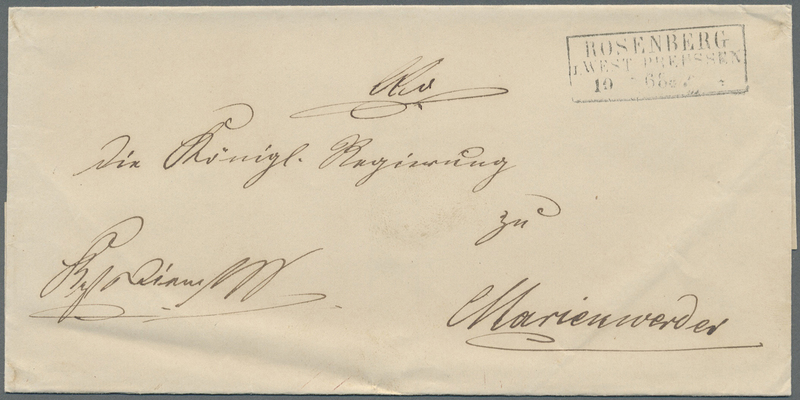 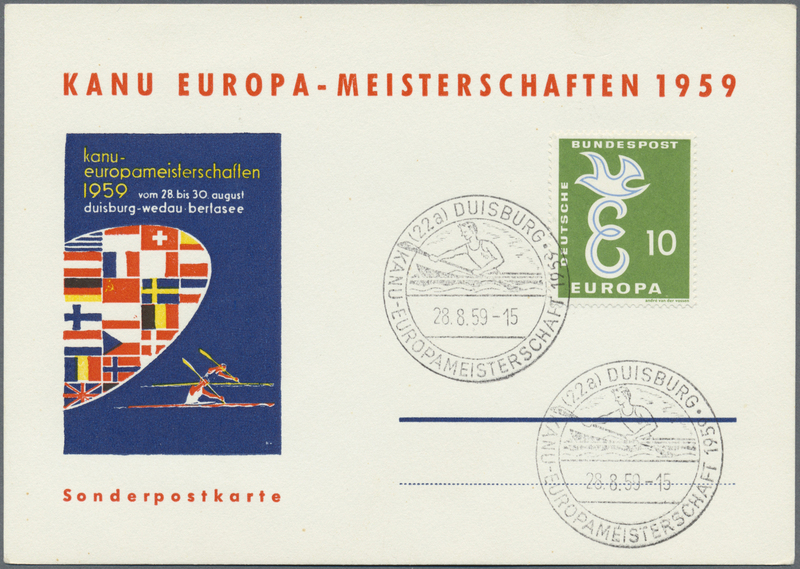 32703 postfrisch (never hinged) ** 793/96 var. 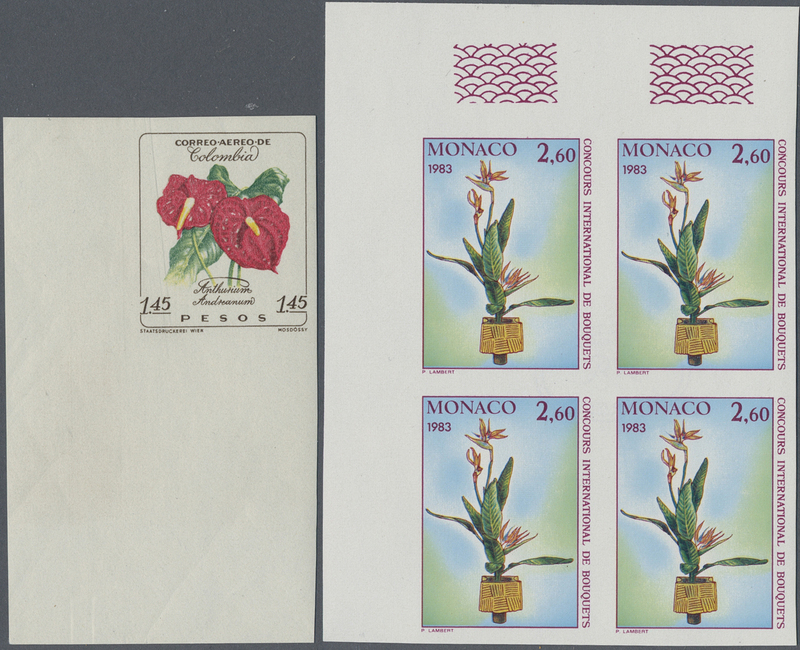 1975, MOROCCO: flowers complete set of four incl. 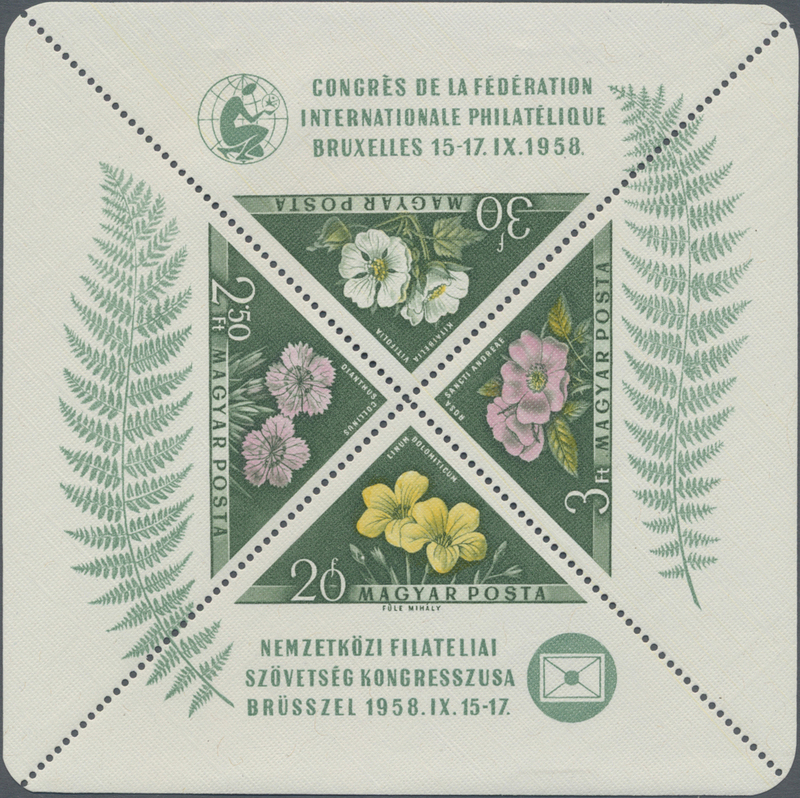 0.25dh. 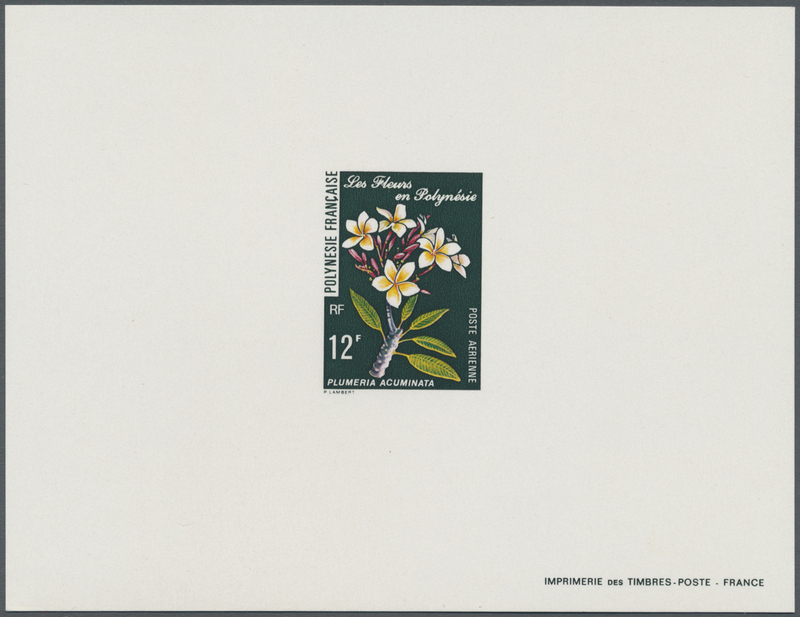 ‚Jasminum grandiflorum‘, 0.35dh. 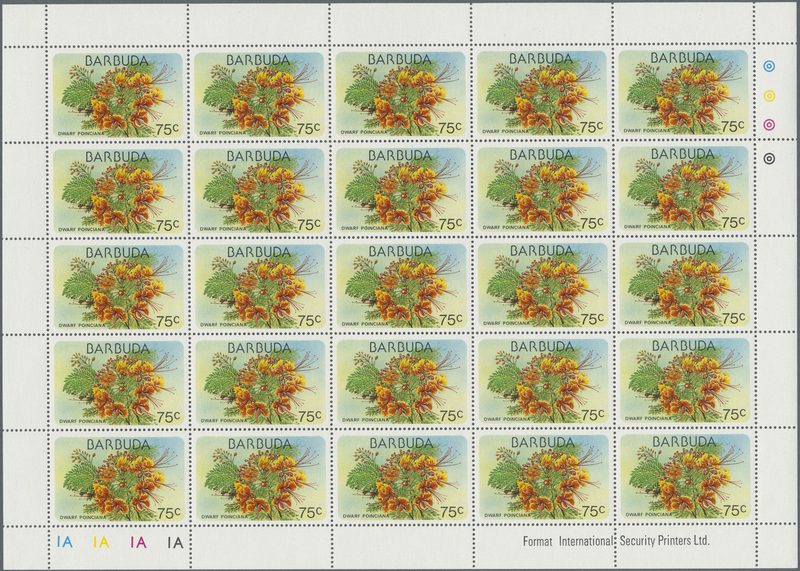 ‚Hemerocallis sp.‘, 0.70dh. 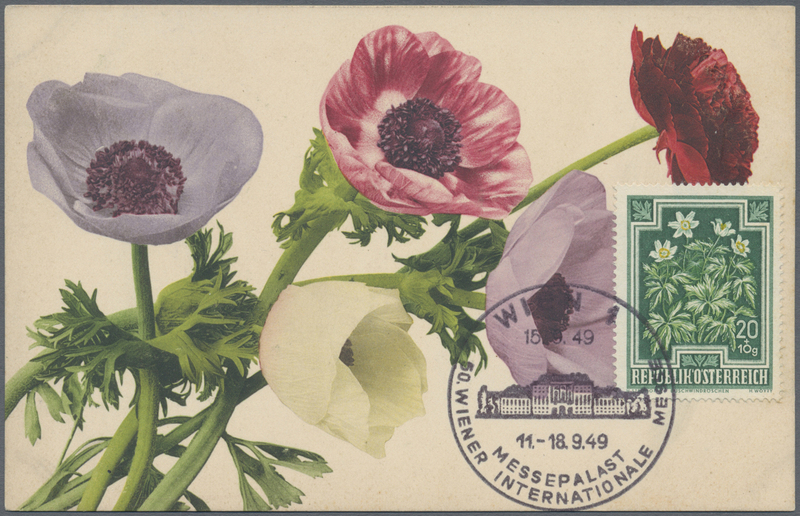 ‚Papaver rhoeas‘ and 0.90dh. 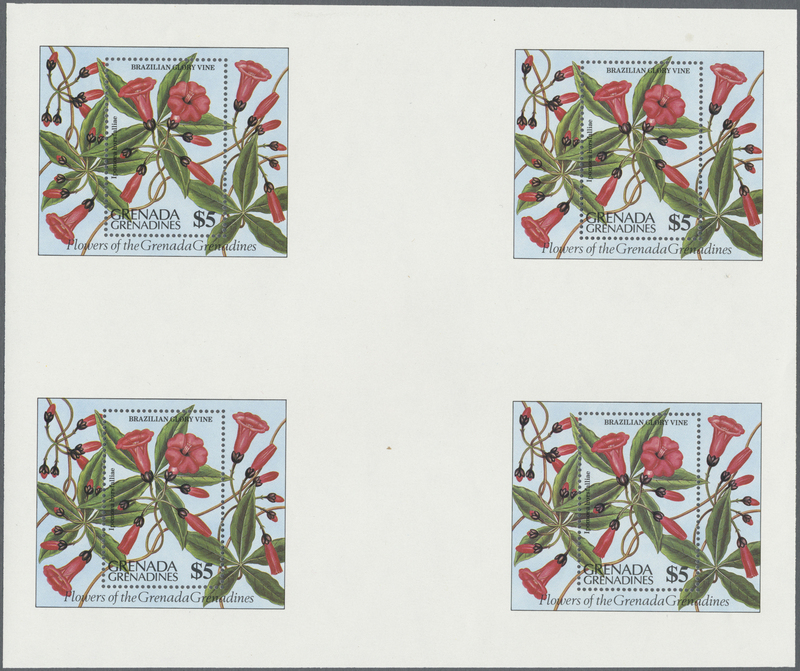 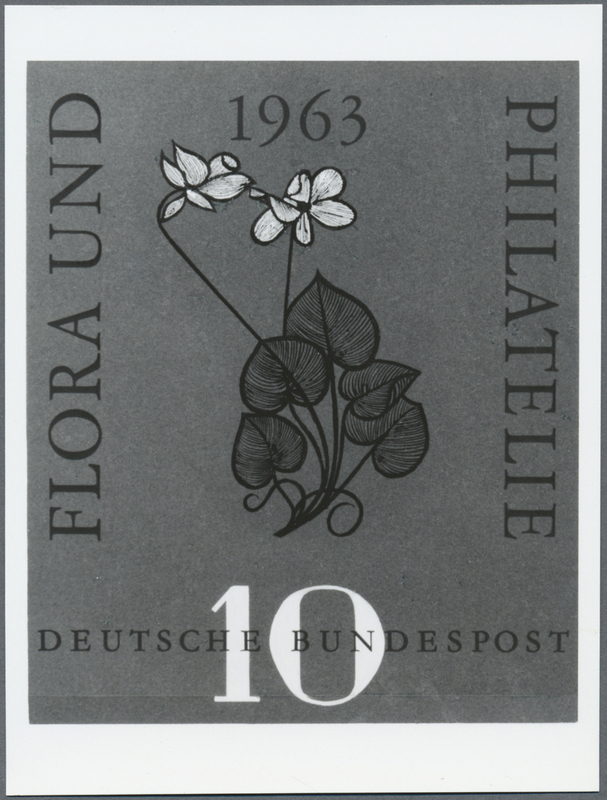 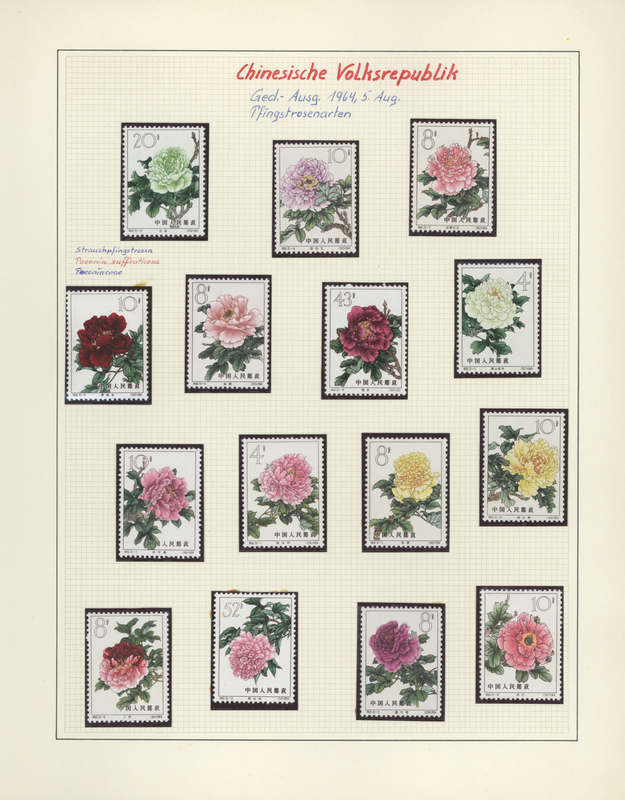 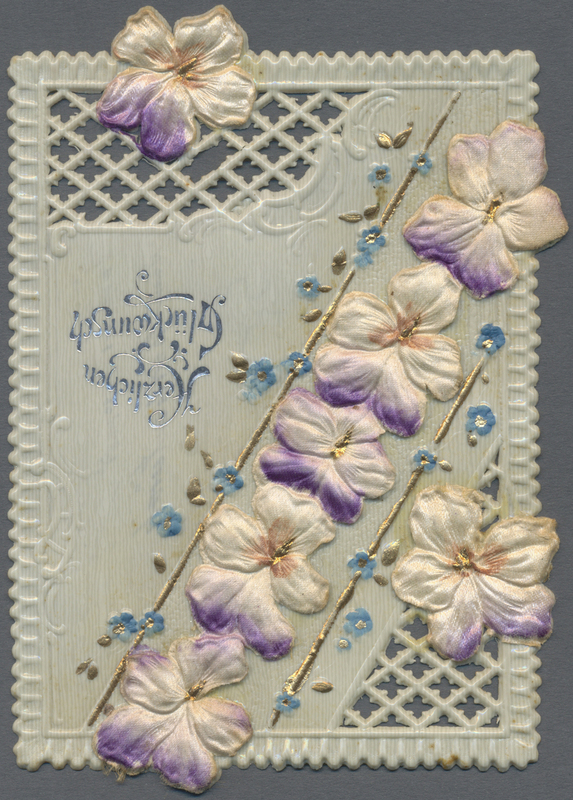 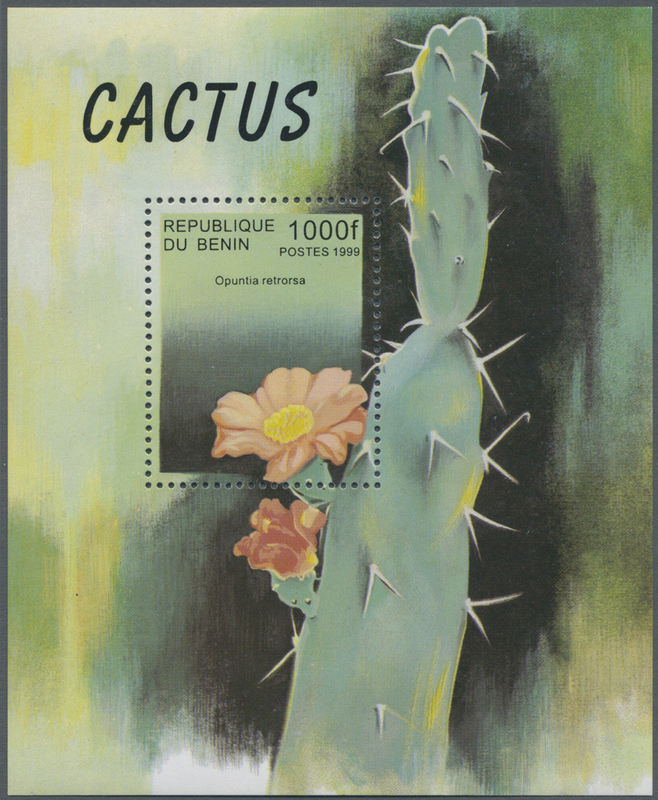 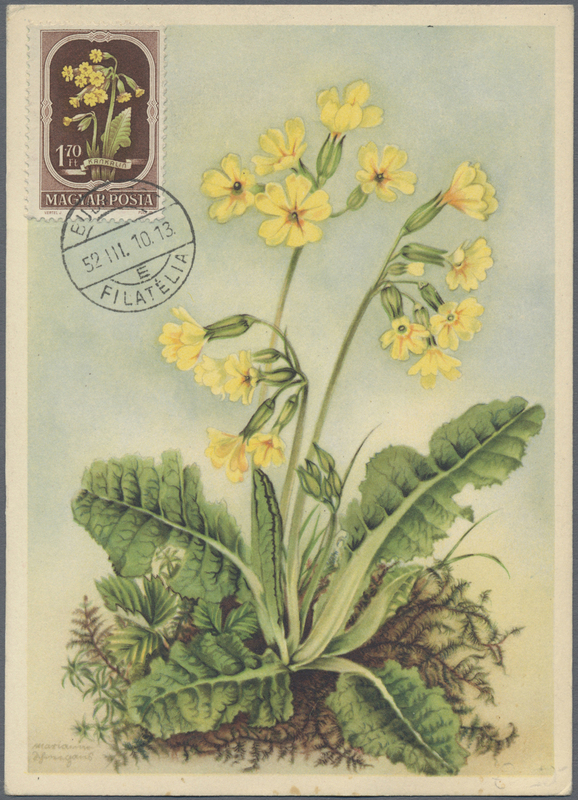 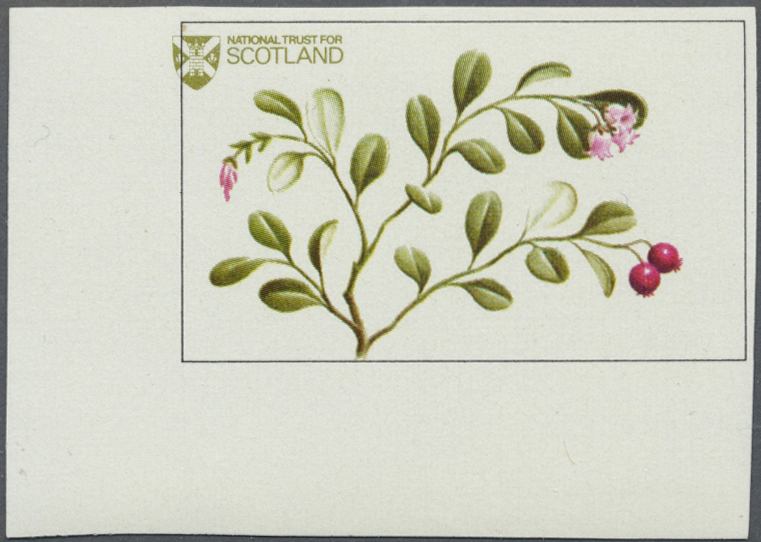 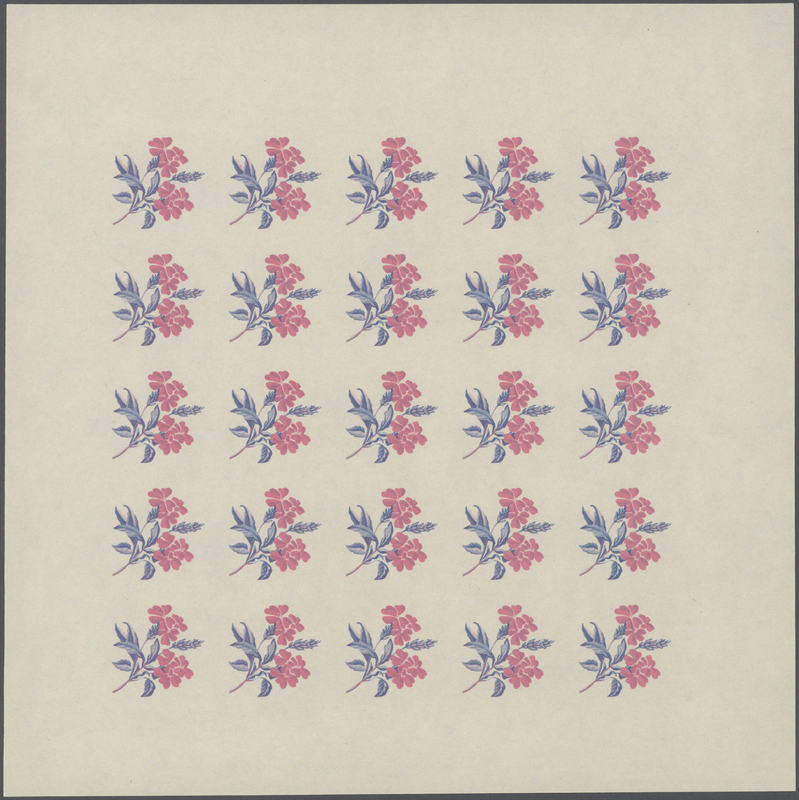 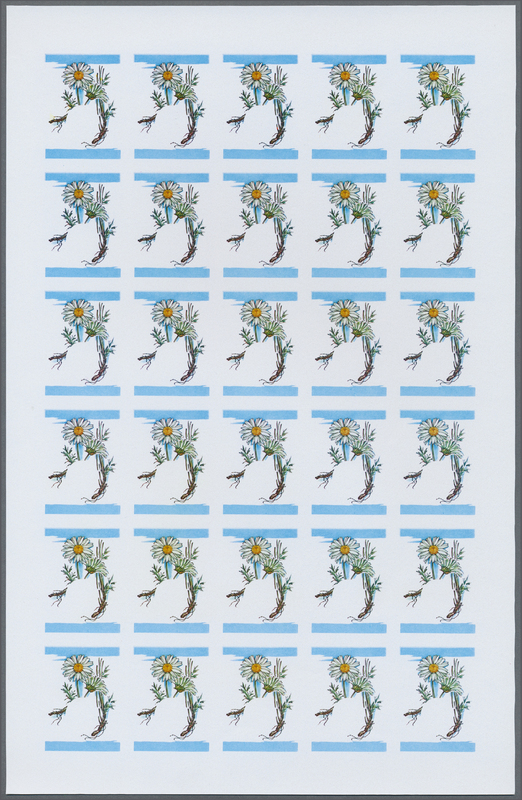 ‚Danthus caryophyllus‘ in a lot with 50 IMPERFORATE sets in larger blocks/part sheets, mint never hinged, Mi. 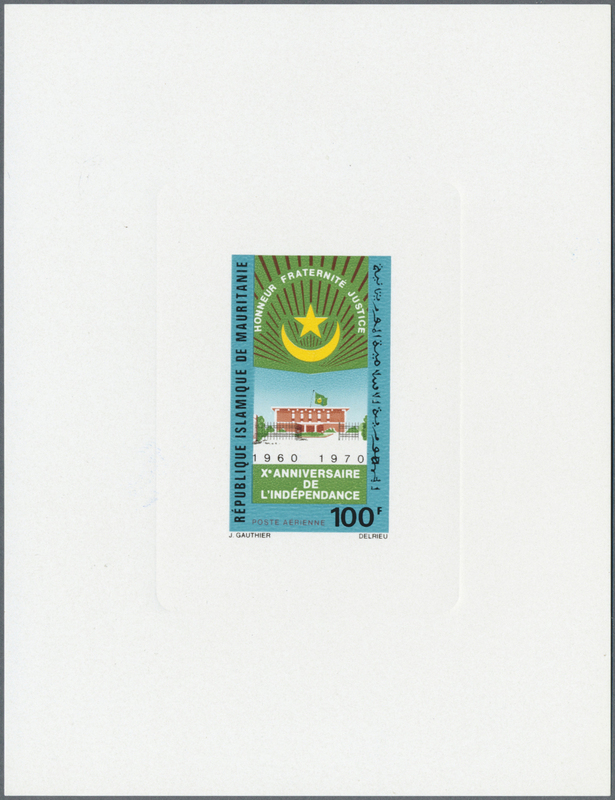 793/96 var. 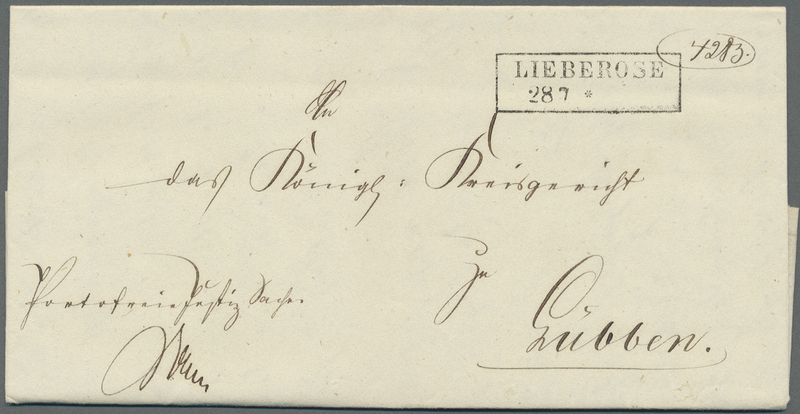 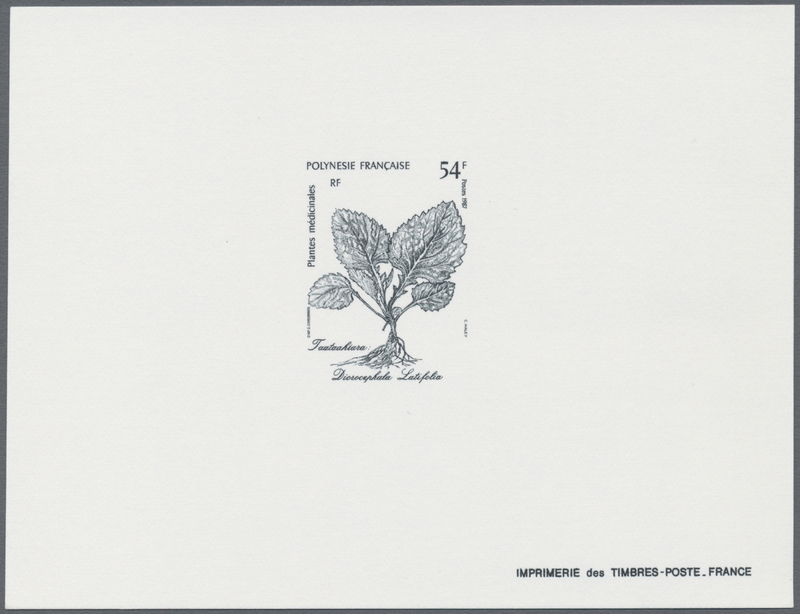 32704 postfrisch (never hinged) ** 914/15 var. 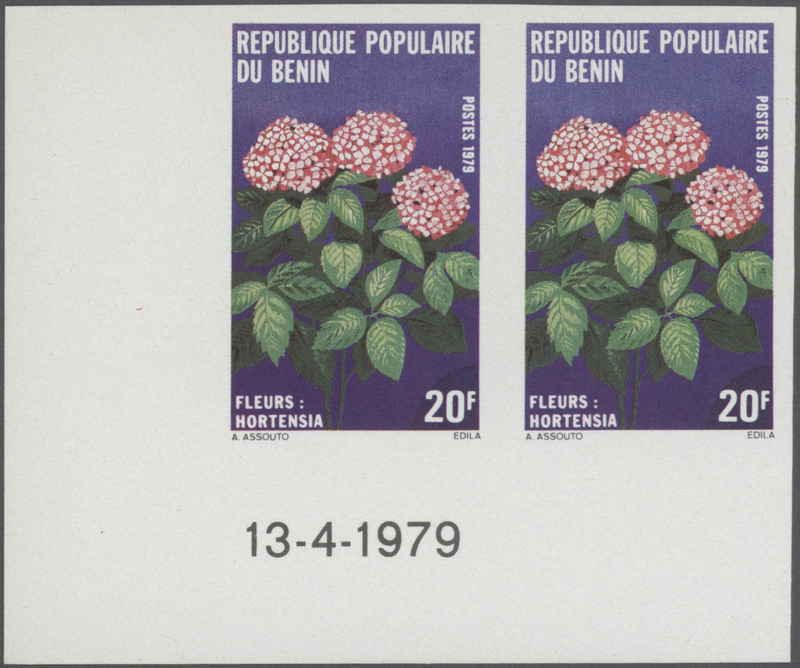 1979, MOROCCO: Flowers set of two 0.40dh. 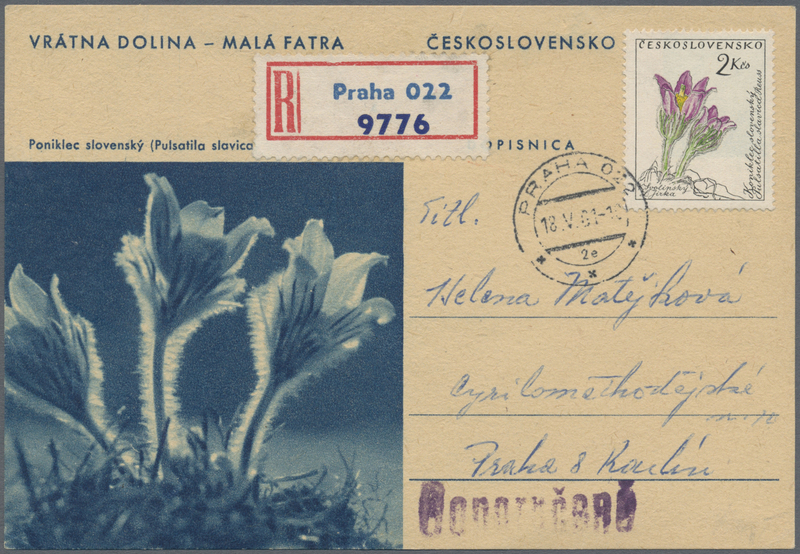 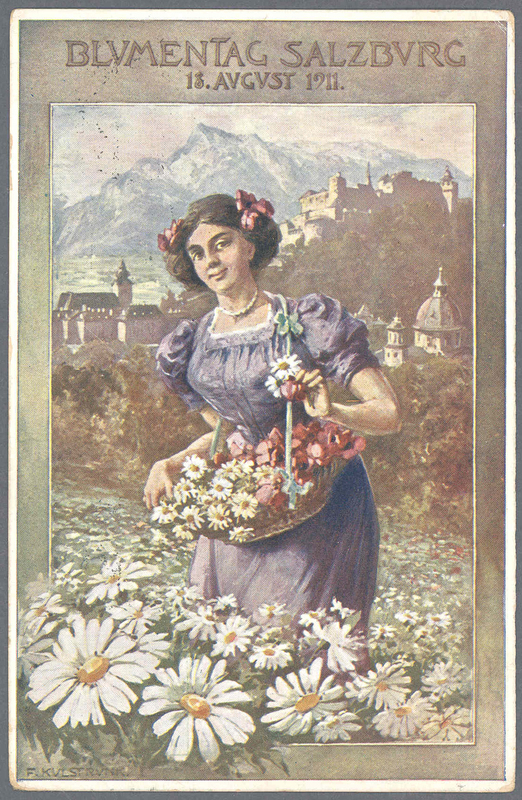 ‚Centaurea gattefossei‘ and 1.00dh. 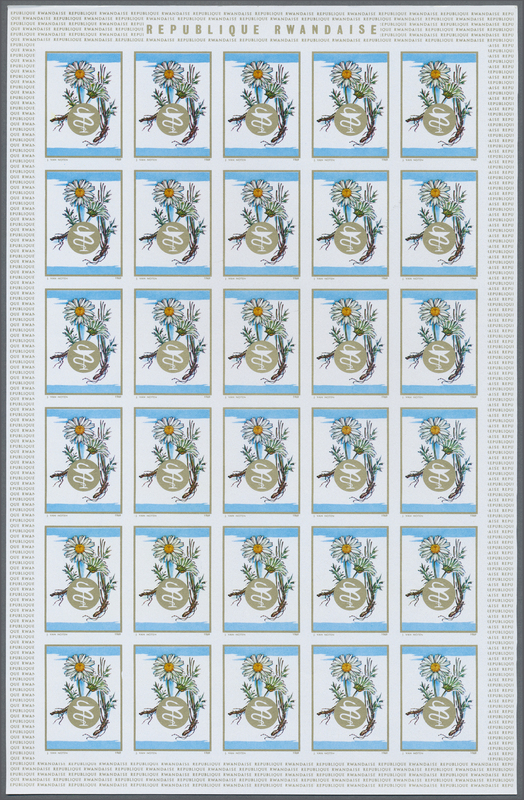 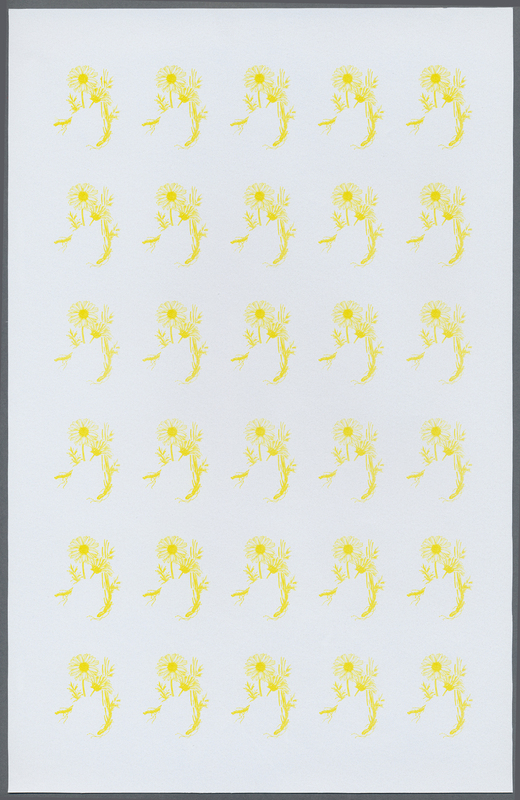 ‚Leucanthemum catanache‘ in a lot with 50 IMPERFORATE sets in larger blocks/part sheets, mint never hinged, Mi. 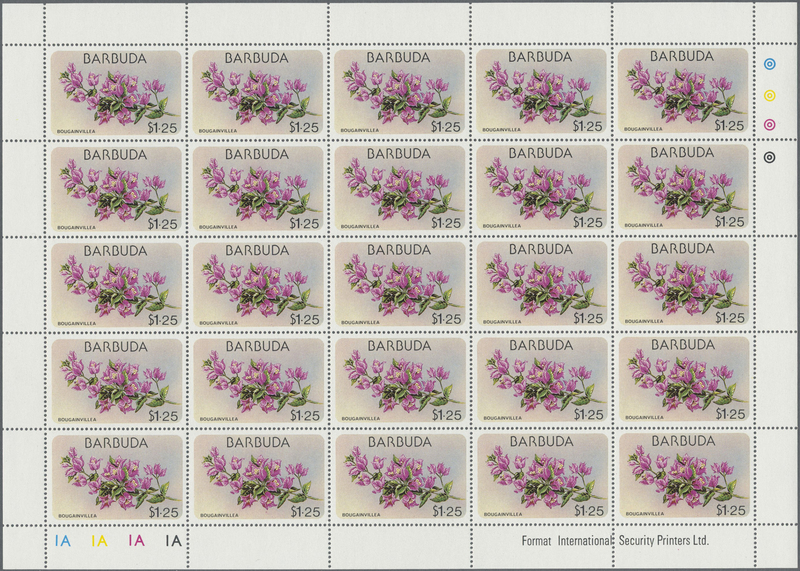 914/15 var. 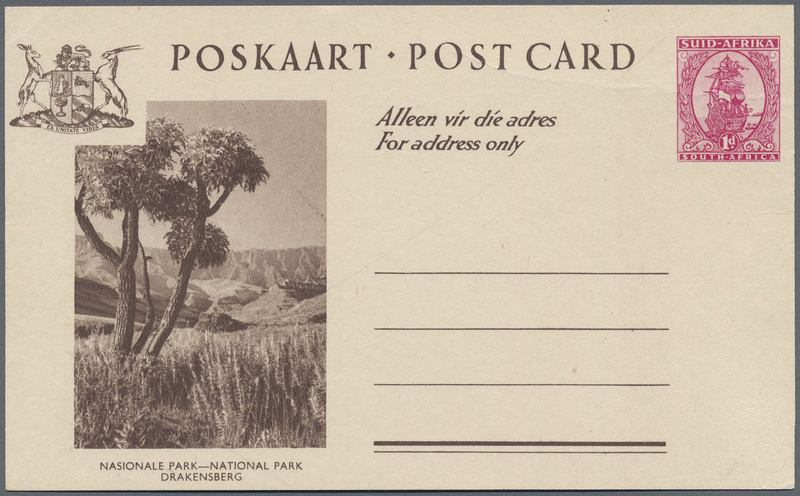 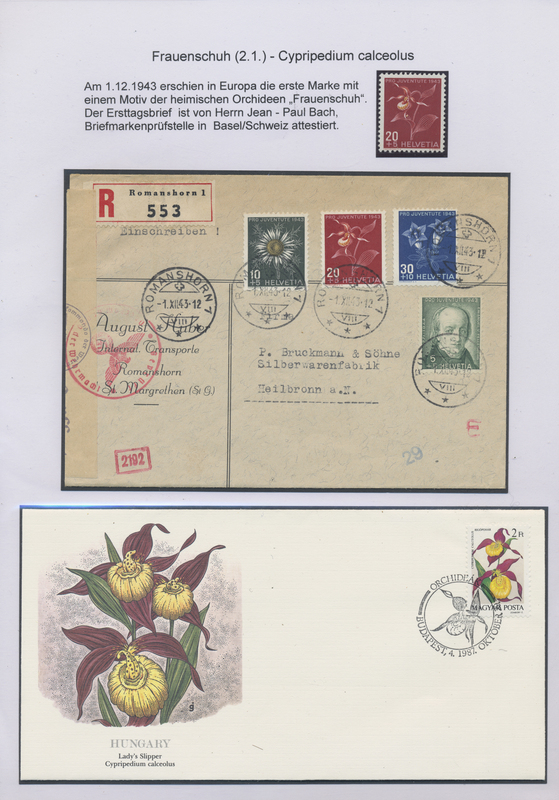 32706 postfrisch (never hinged) ** 943/44 var. 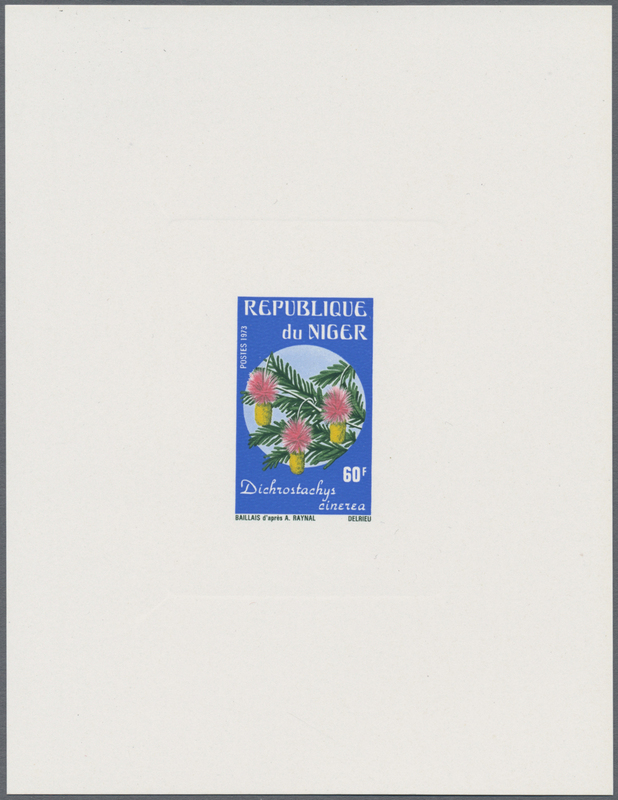 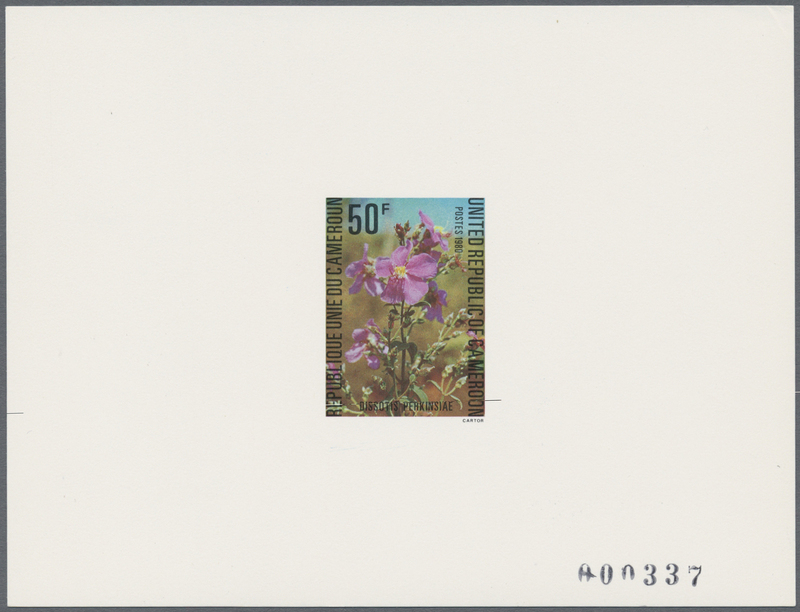 1980, MOROCCO: Flowers set of two 0.50dh. 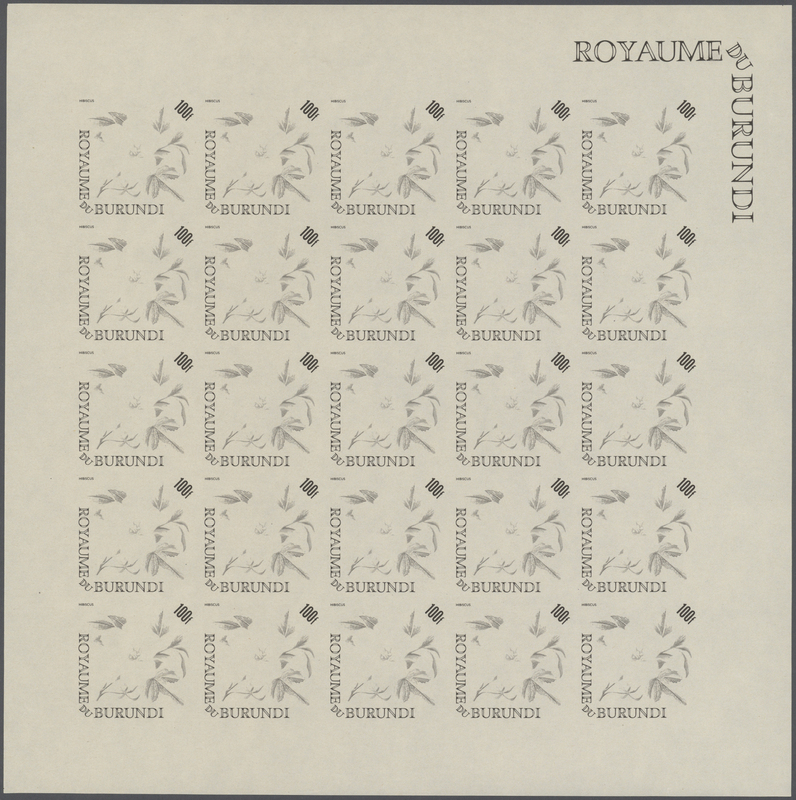 ‚Senecio antheuphorbium‘ and 1.00dh. 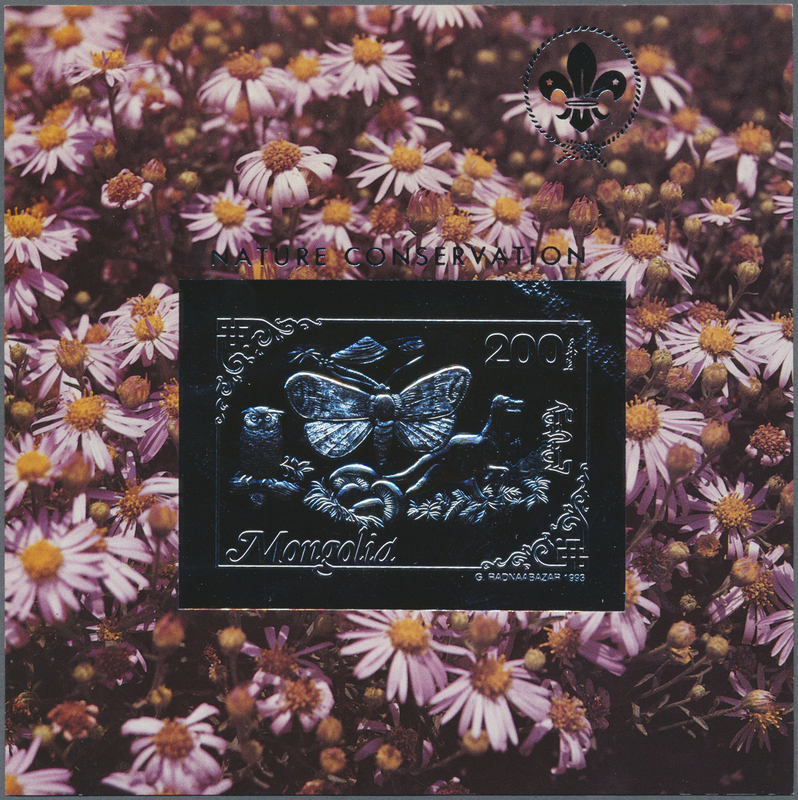 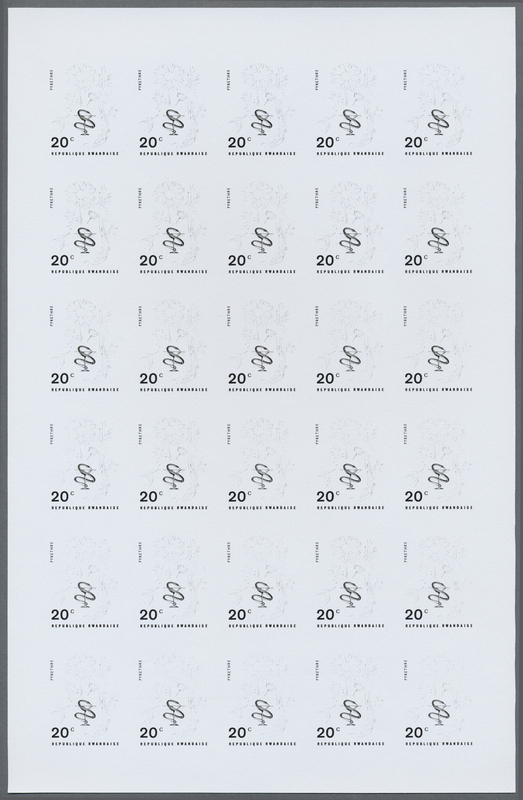 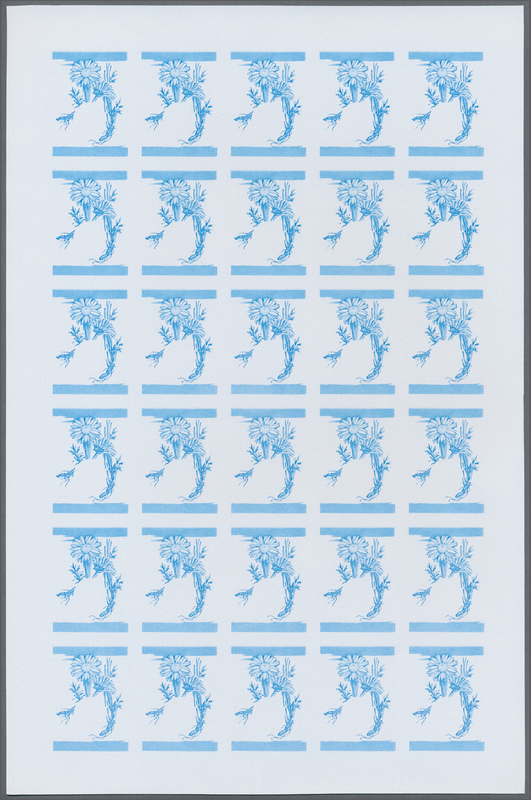 ‚Periploca laevigata‘ in a lot with 50 IMPERFORATE sets in larger blocks/part sheets, mint never hinged, Mi. 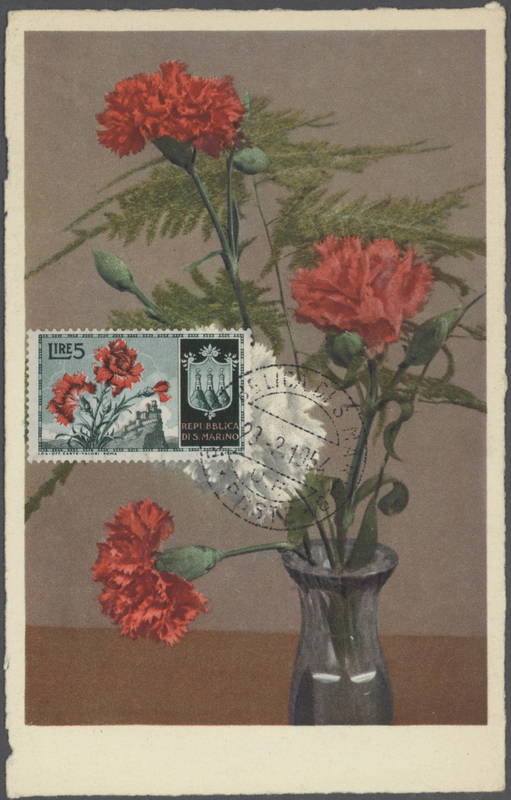 943/44 var.